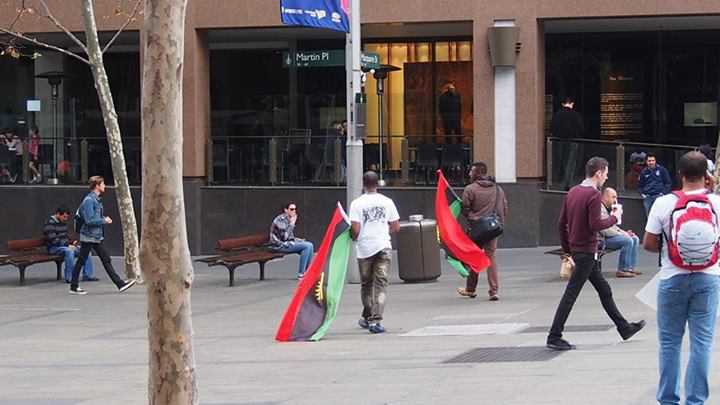 A day that serves as a reminder that over 3.5 million Biafrans were gruesomely massacred between 1967 – 1970, which is yet ongoing. 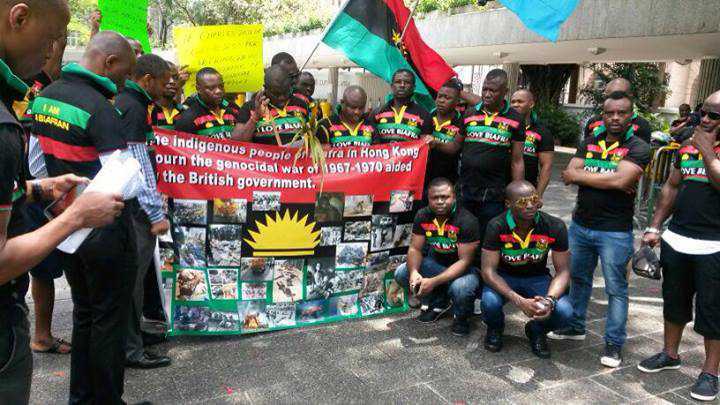 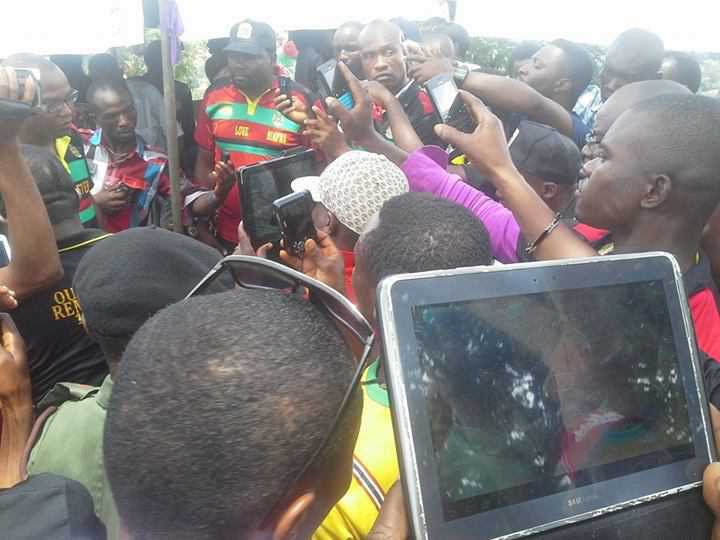 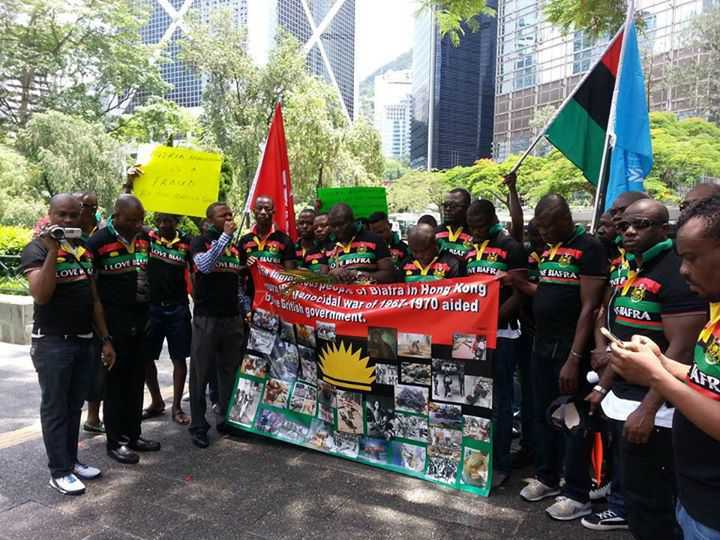 It is Biafrans’ Pogrom Remembrance Day. 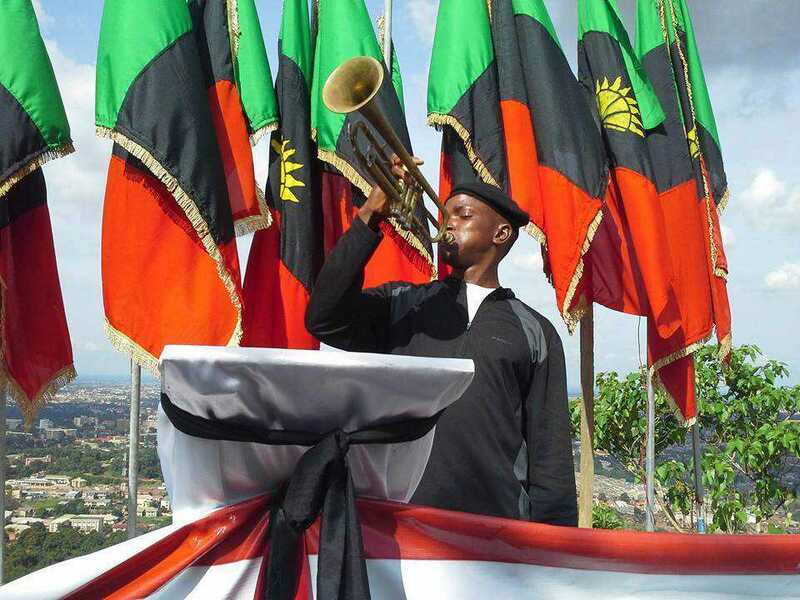 It is a day of obligation marked annually in the land of Biafra.That day remains sacrosanct. 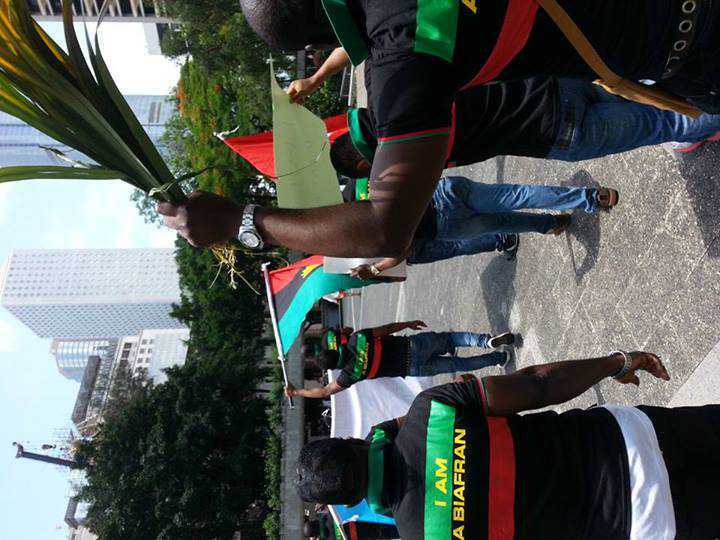 To every Biafran, it is a day that gave us life and existence. 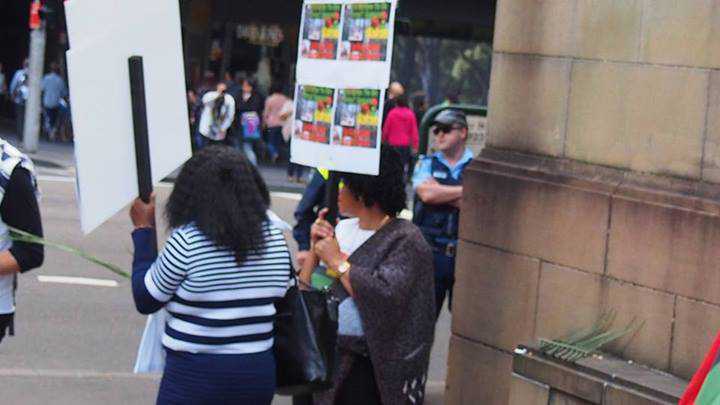 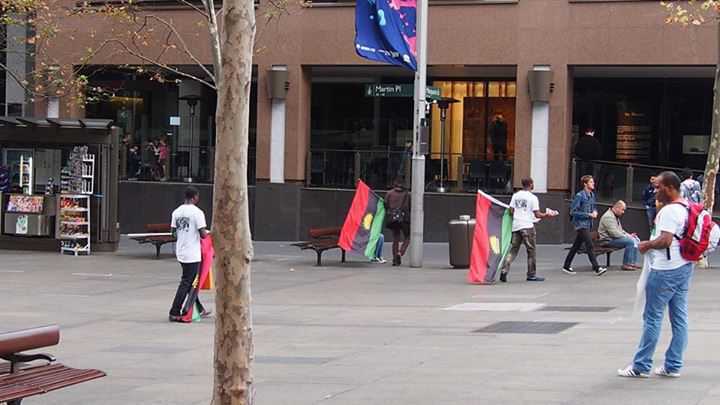 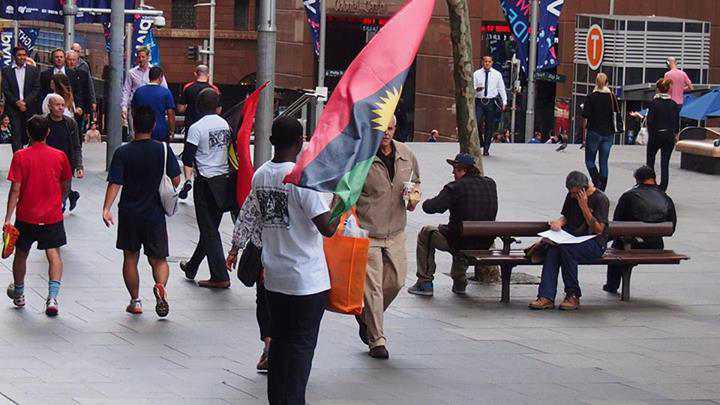 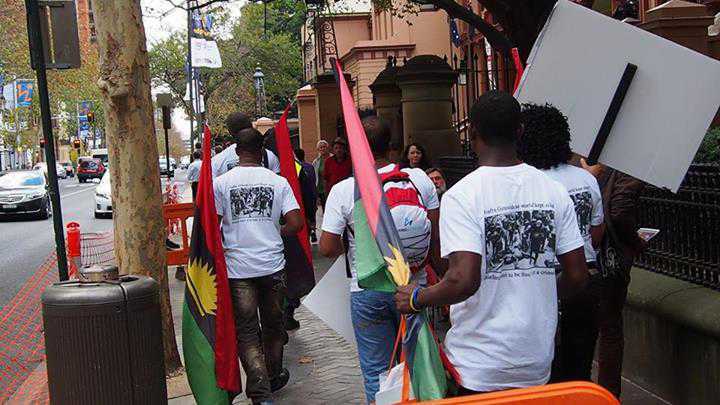 It is a day set apart by the Indigenous People of Biafra (IPOB) globally, ably led by Mazi Nnamdi Kanu, to commemorate the sacrifices of millions who laid down their lives that we may live. 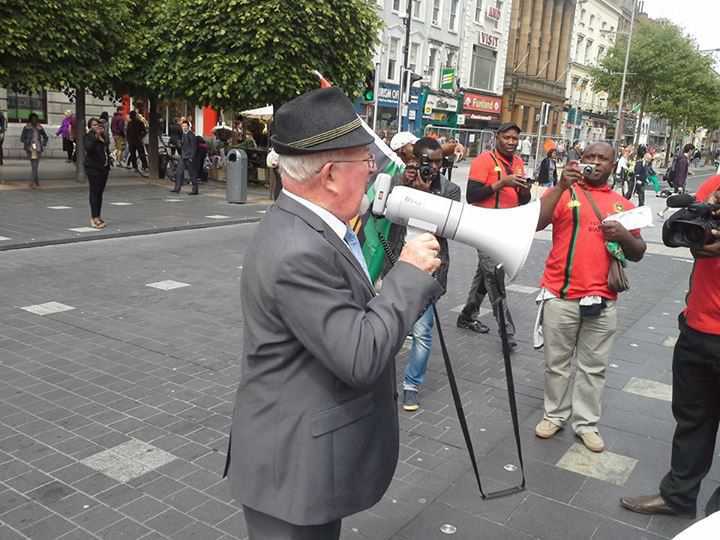 It is a day we remember that the land was forced to eat up it’s children in the midst of their own blood. 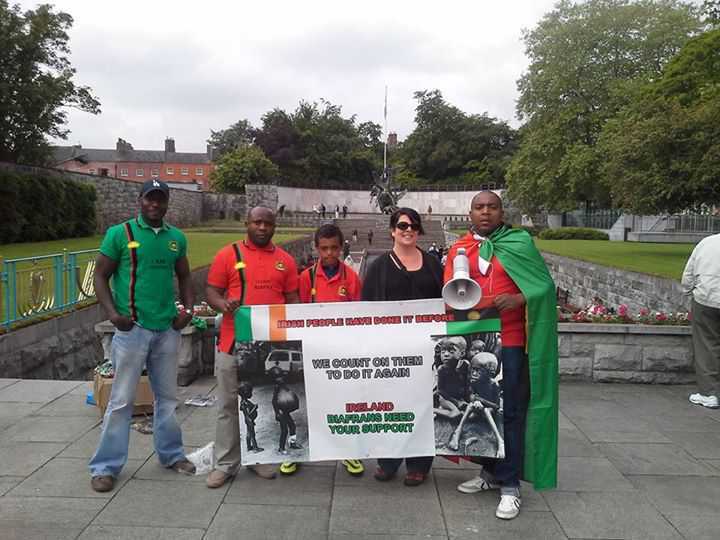 A day we remember that the women were forced to abandon their children in hidden/solitary places out of their homes in search of safety for the preservation of life. 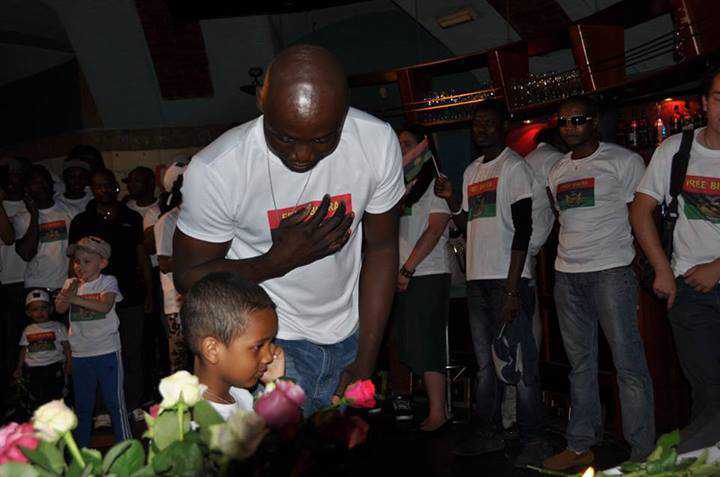 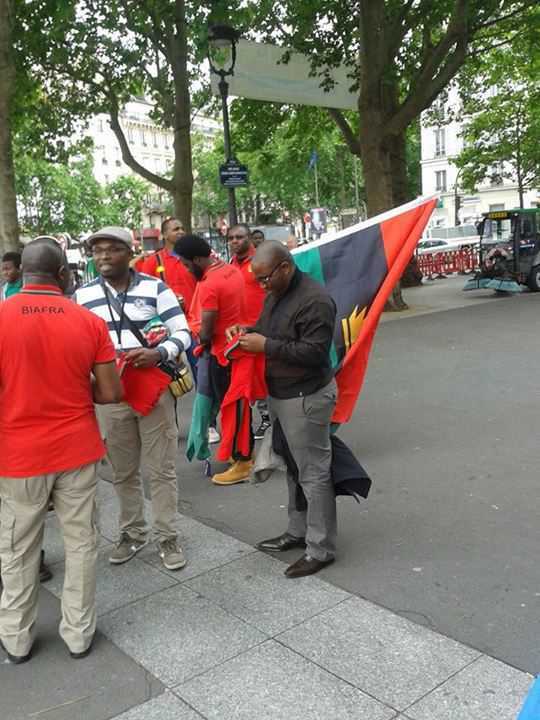 It is a day Biafrans remember the moment that tears of anguish, sufferings and losses were shed. 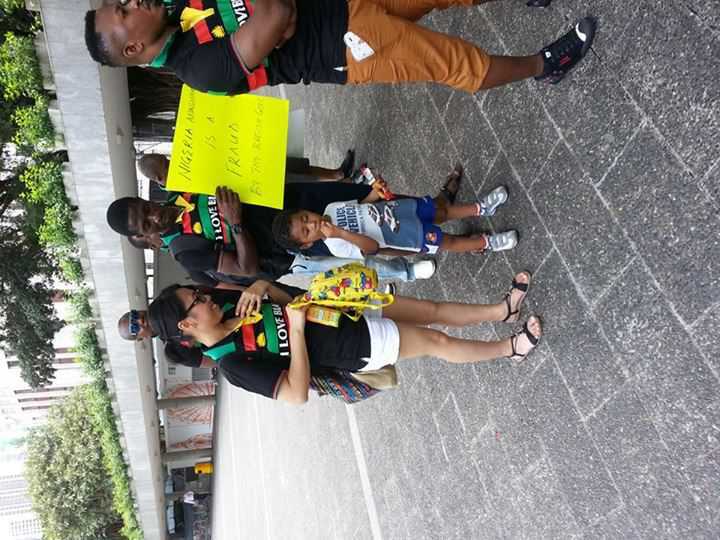 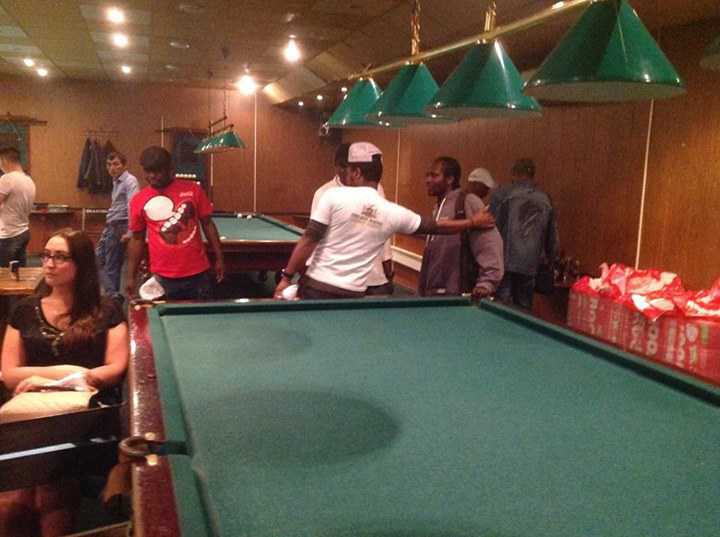 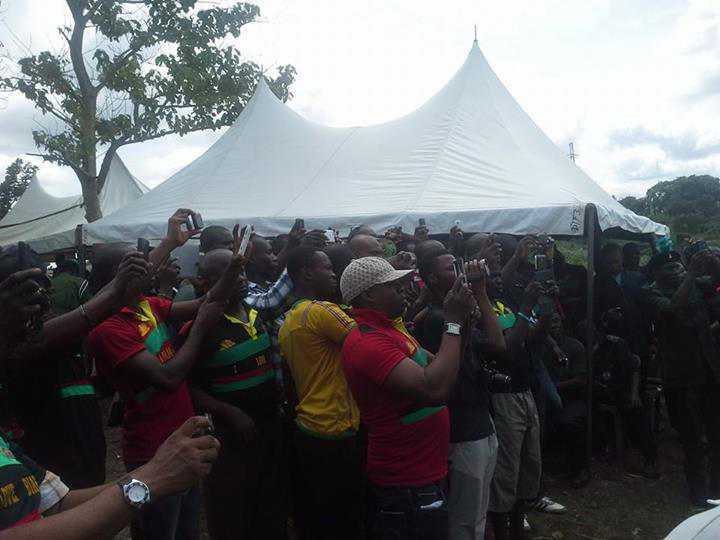 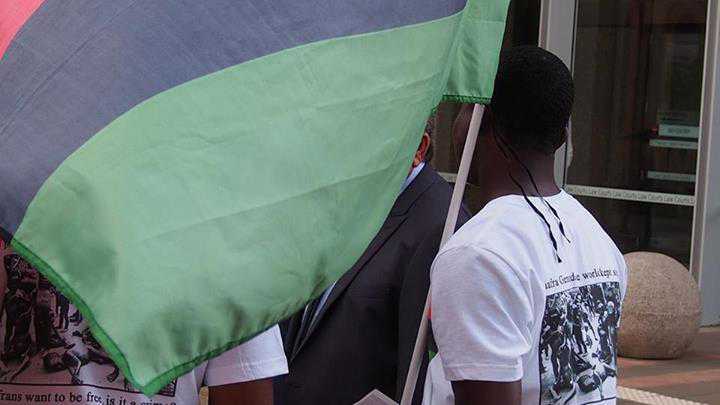 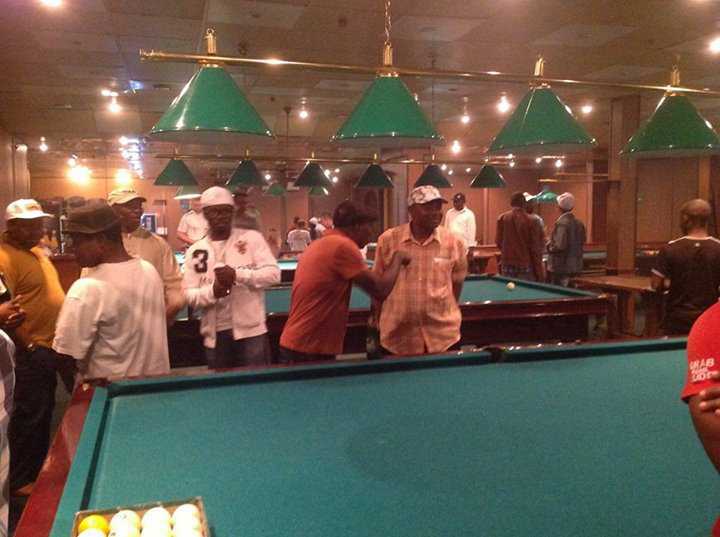 This is a day that Biafrans take a retrospective look at their existence and survival as a people. 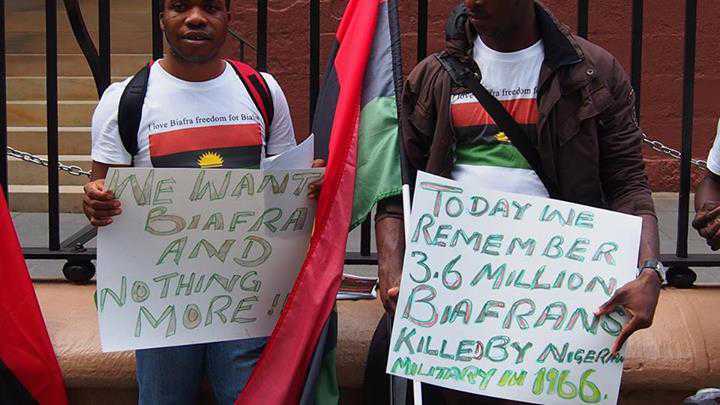 It is a day of historical assessment of and peep into our injuries and broken hearts. 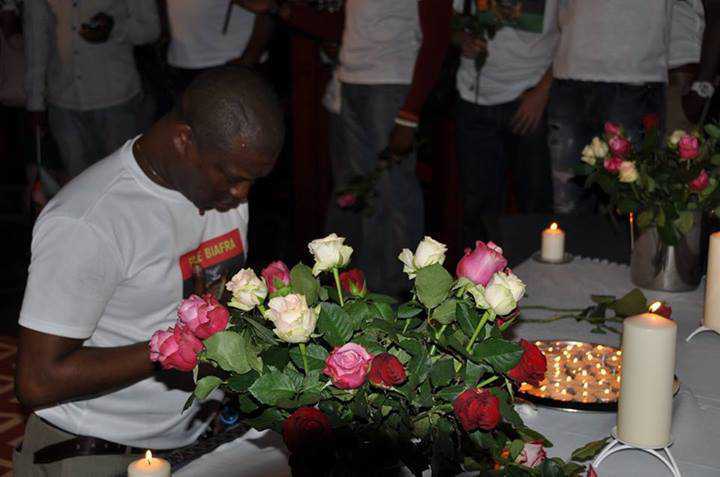 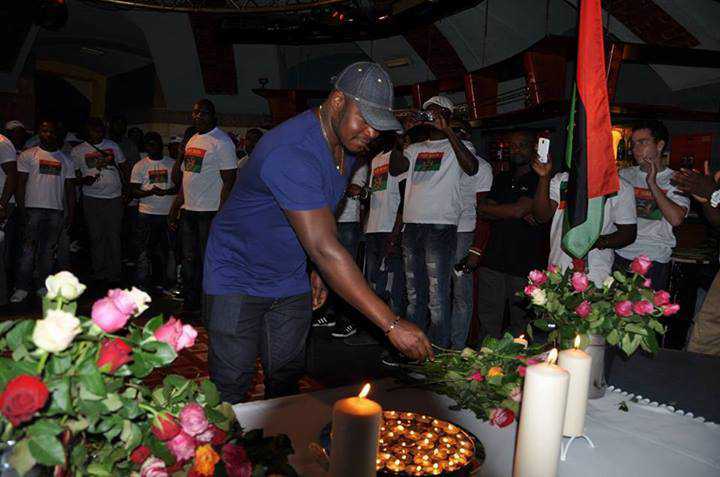 We call to mind, the blood of many that was spilled amidst cries of tortuous and untimely deaths. 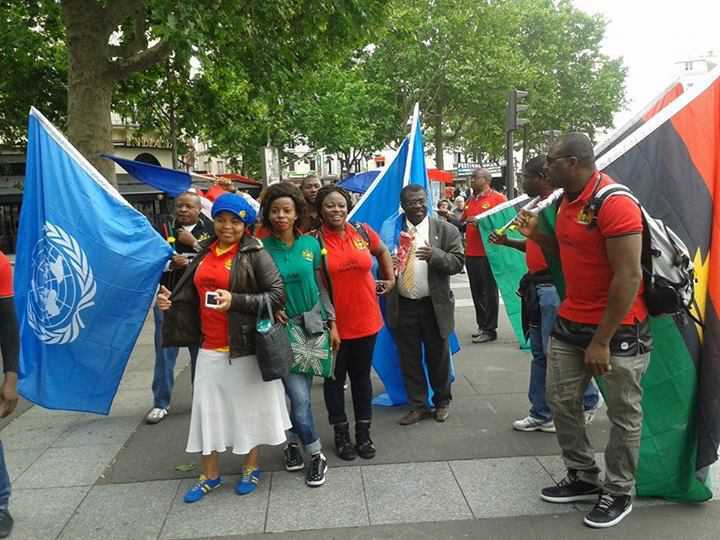 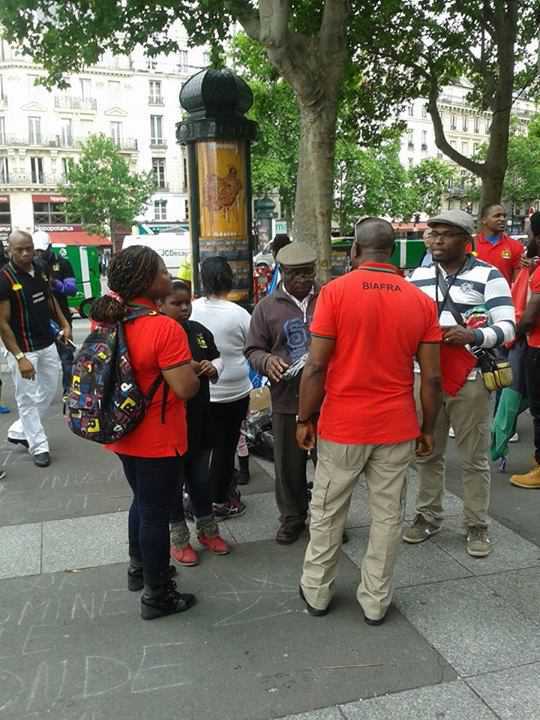 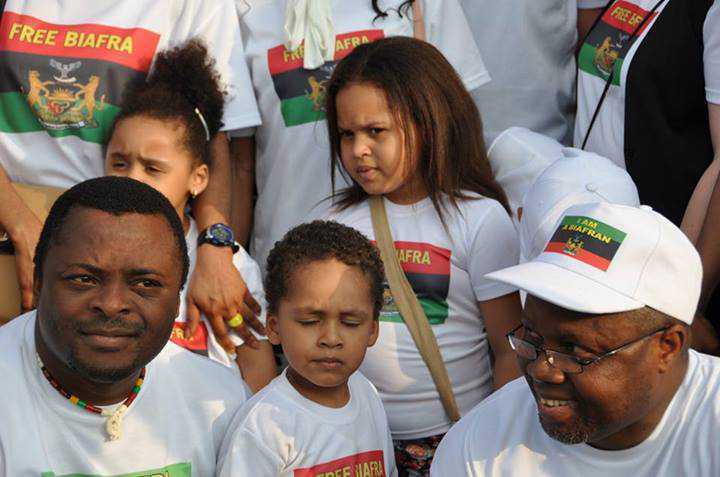 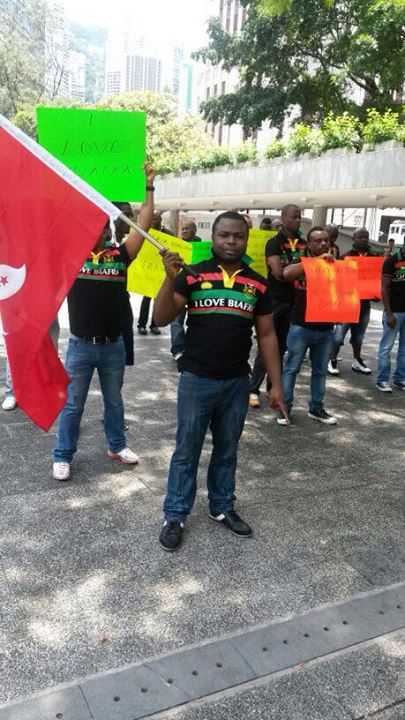 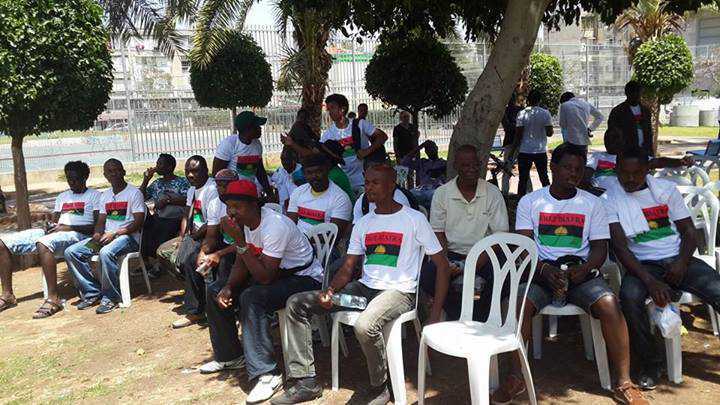 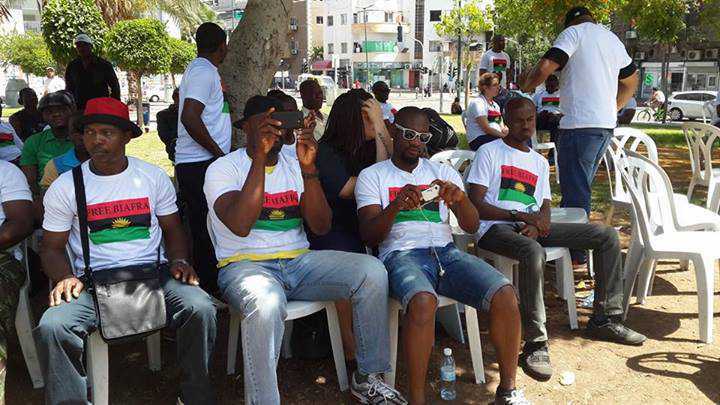 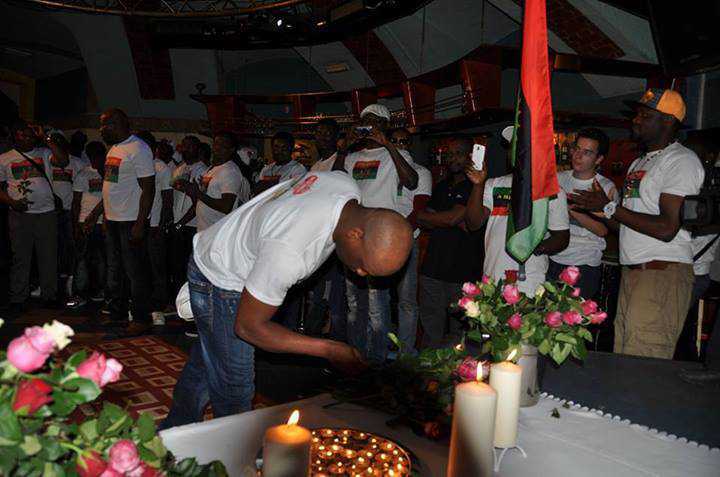 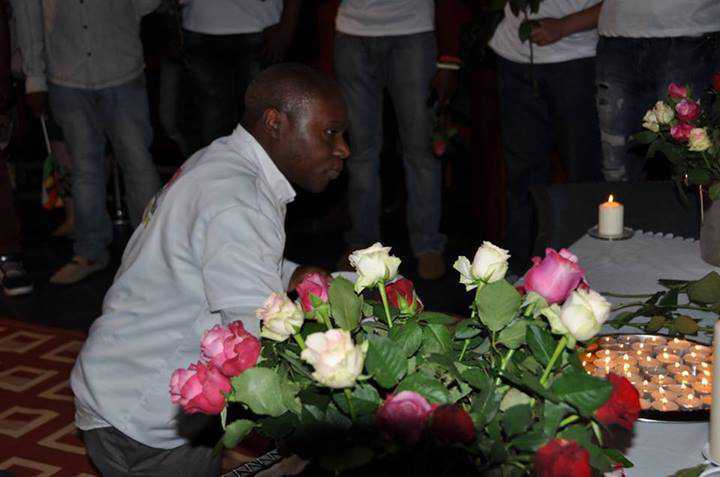 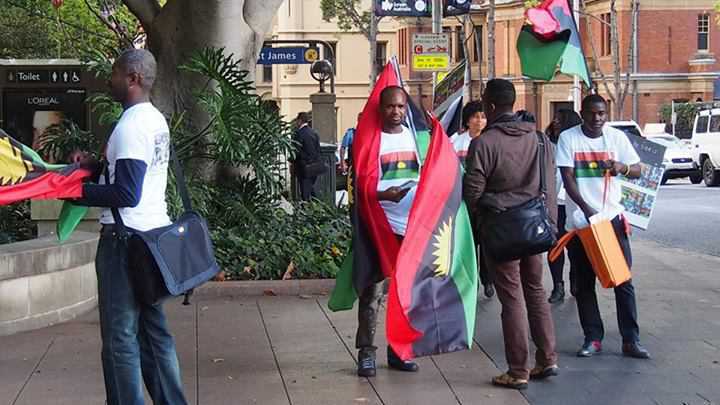 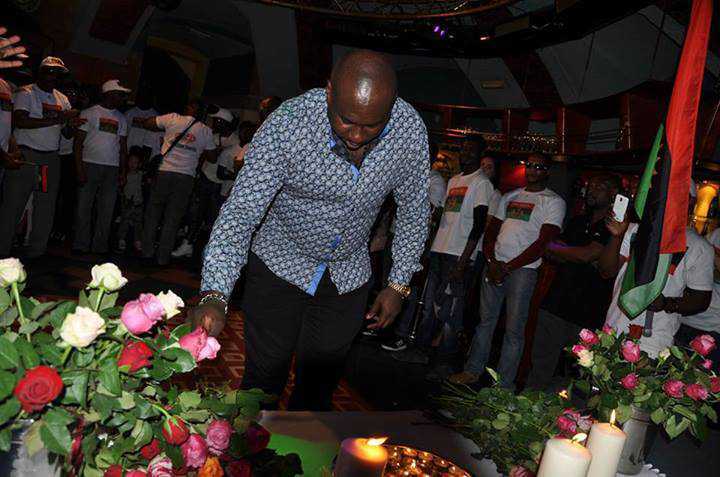 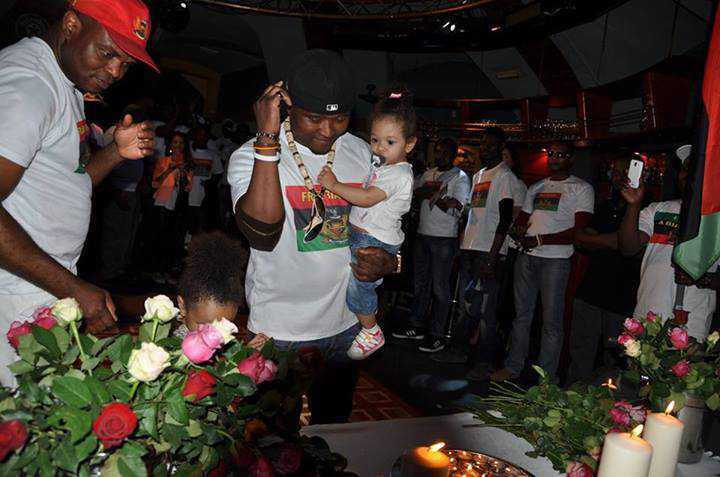 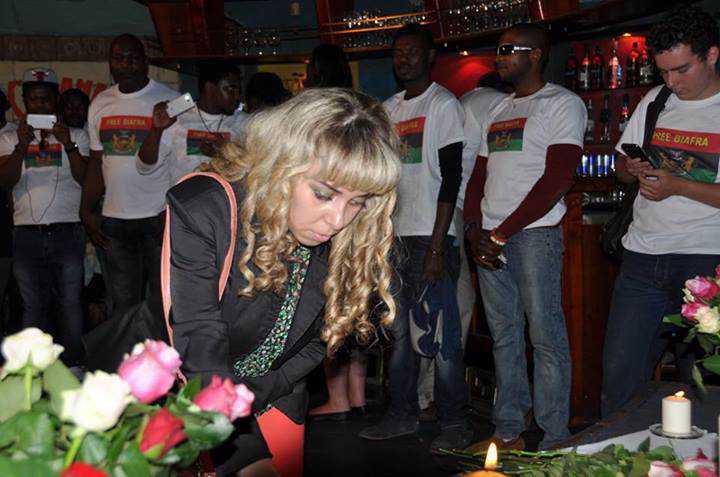 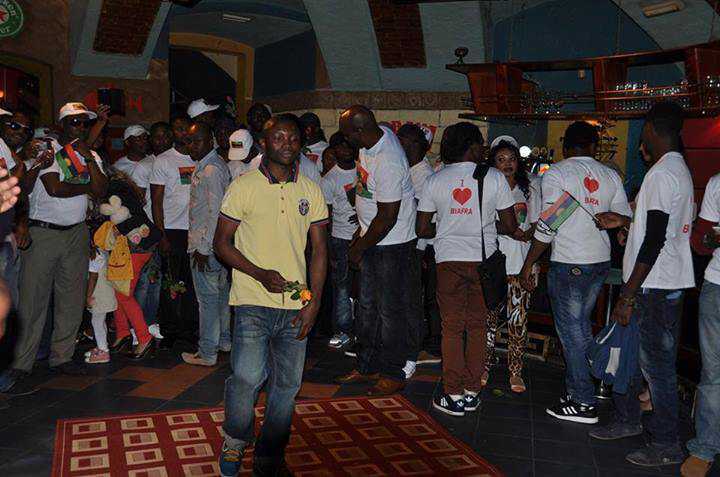 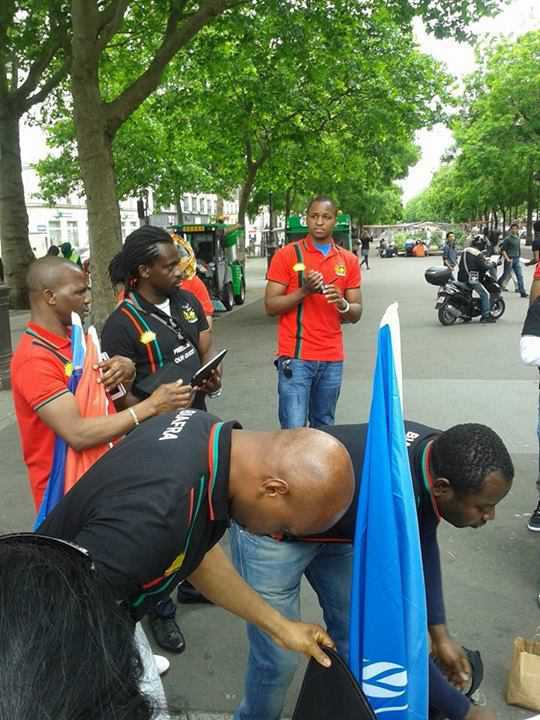 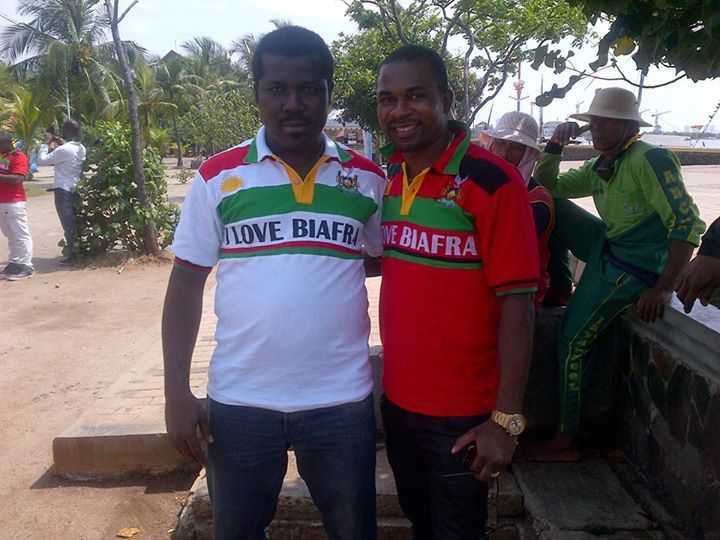 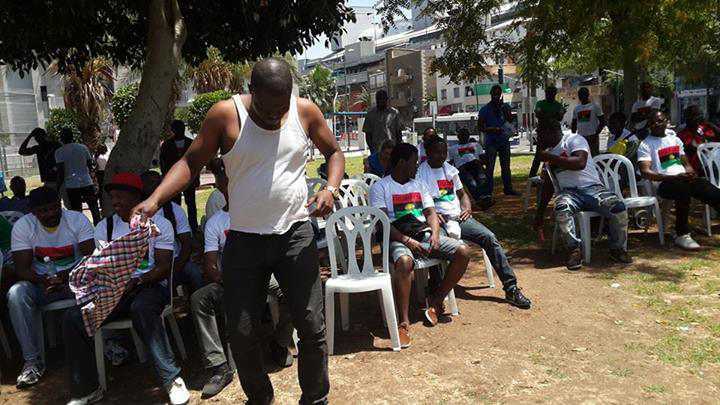 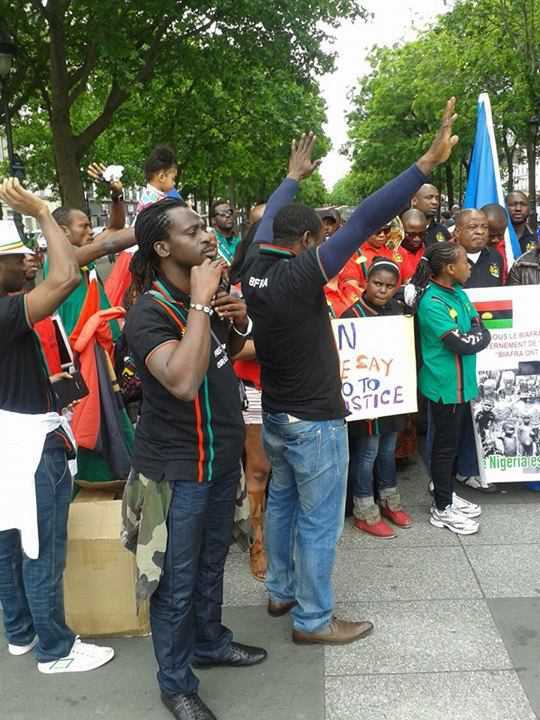 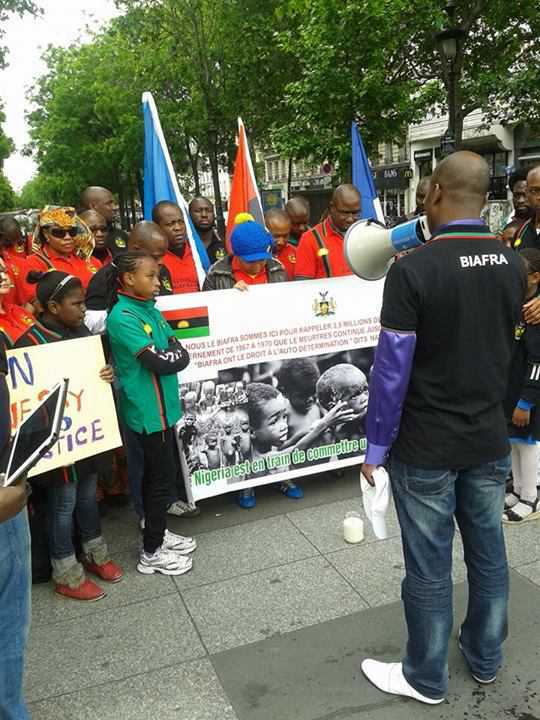 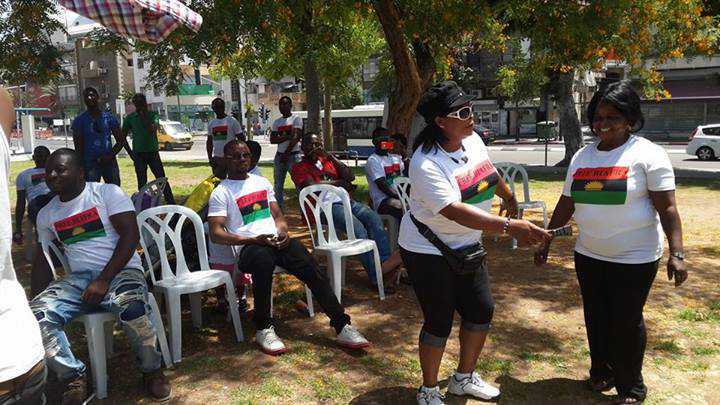 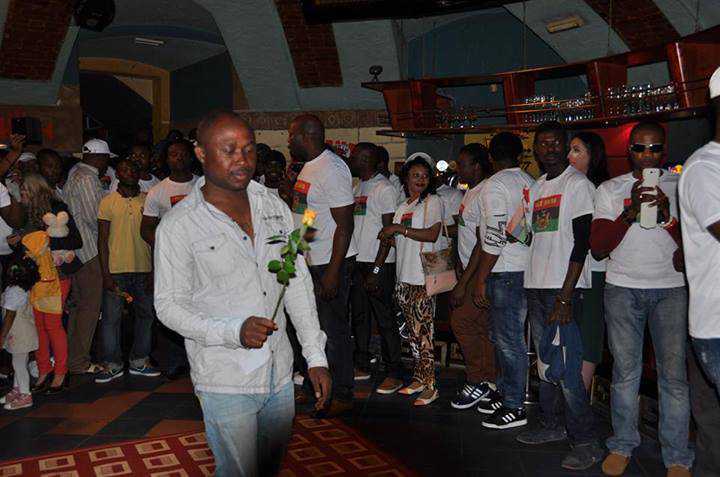 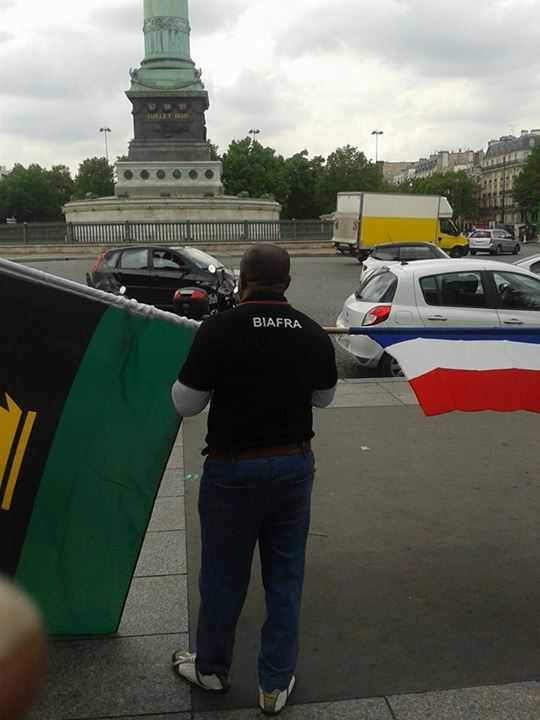 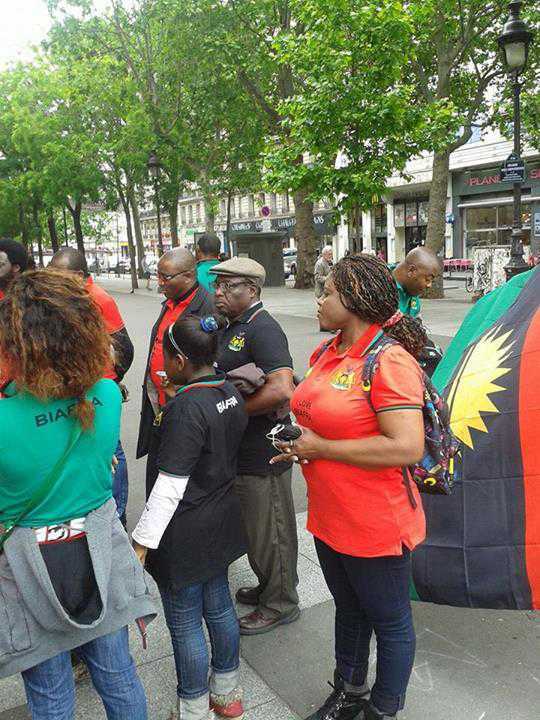 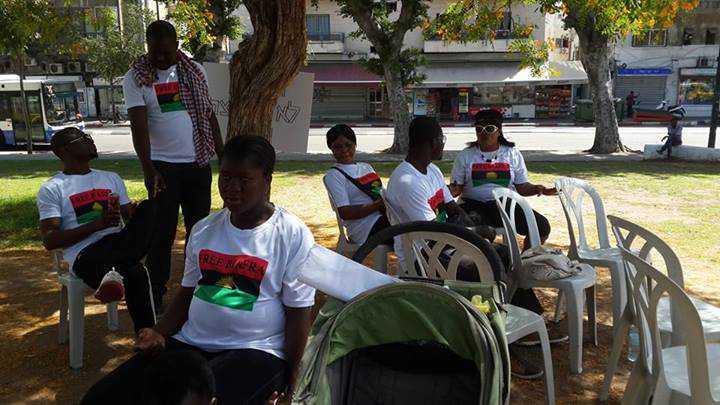 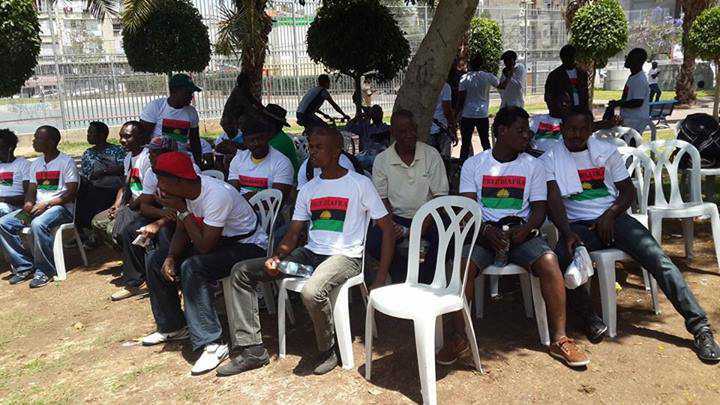 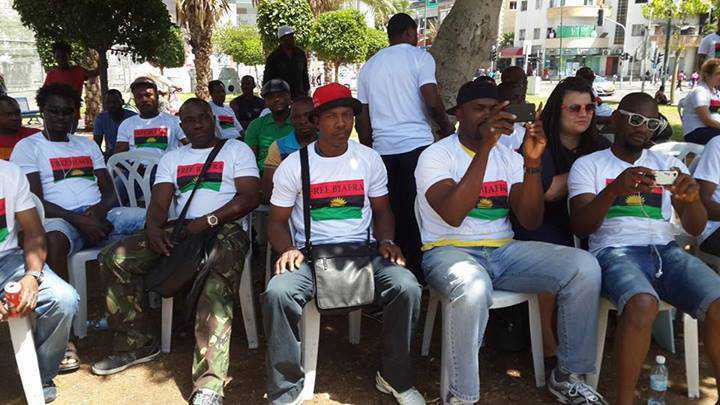 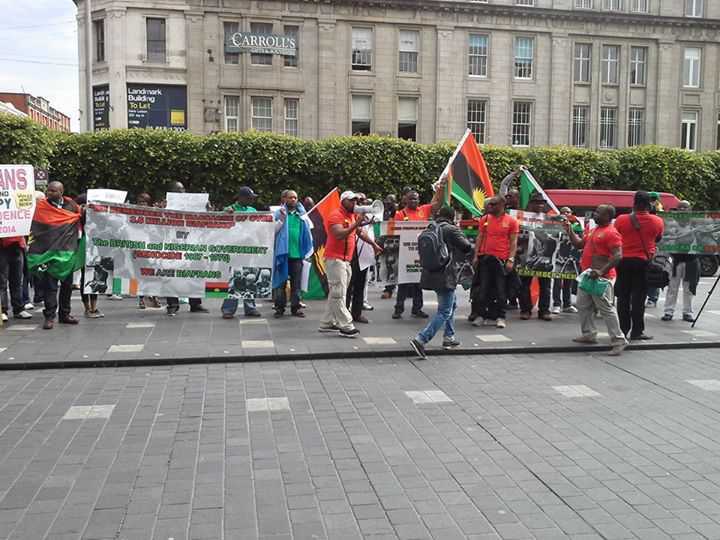 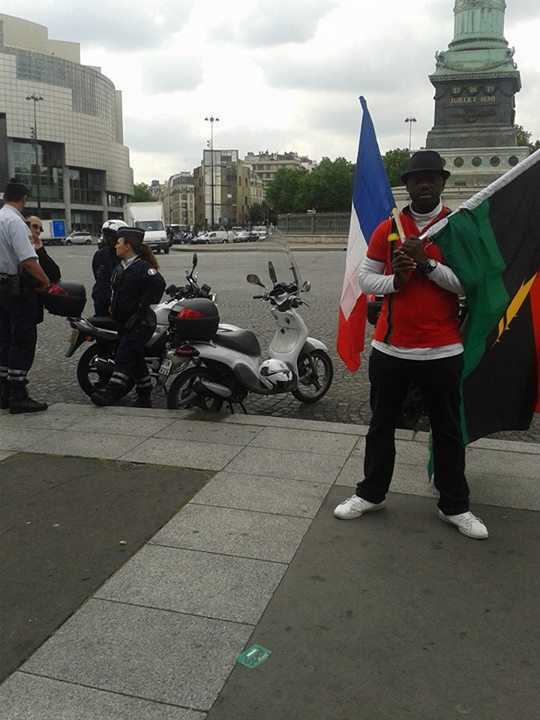 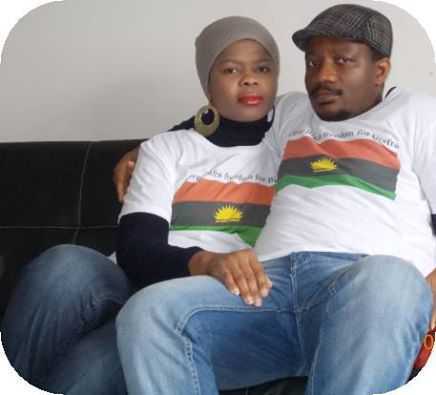 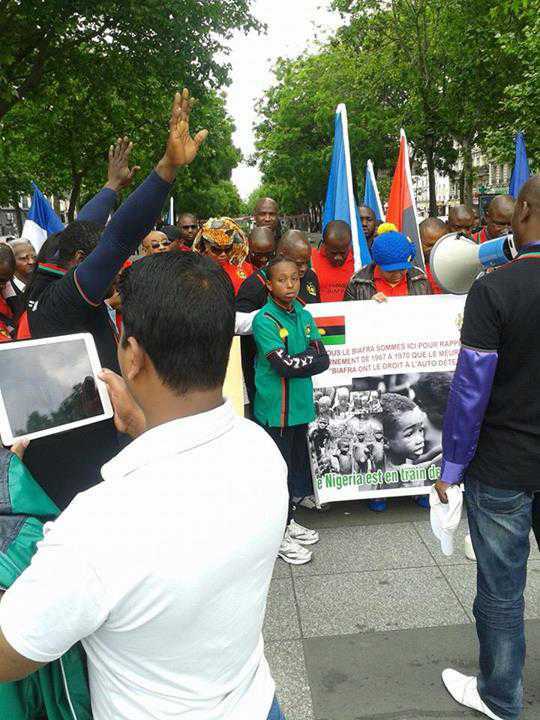 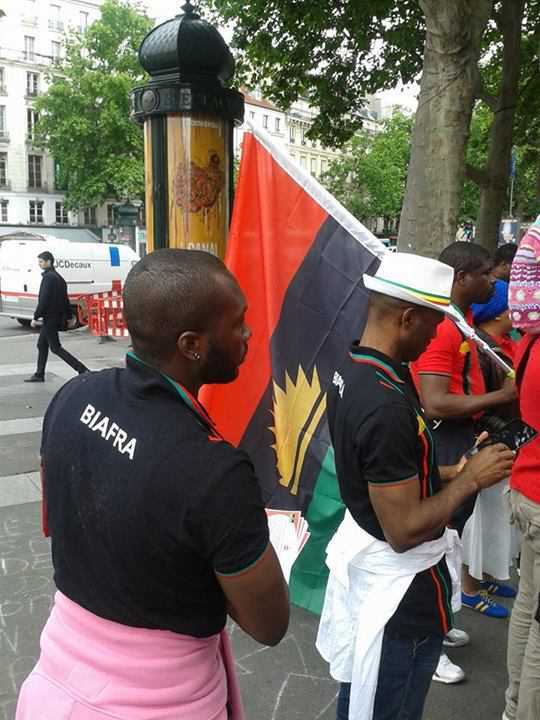 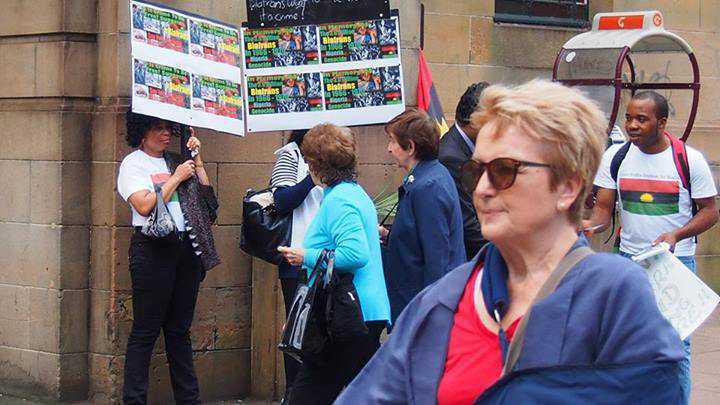 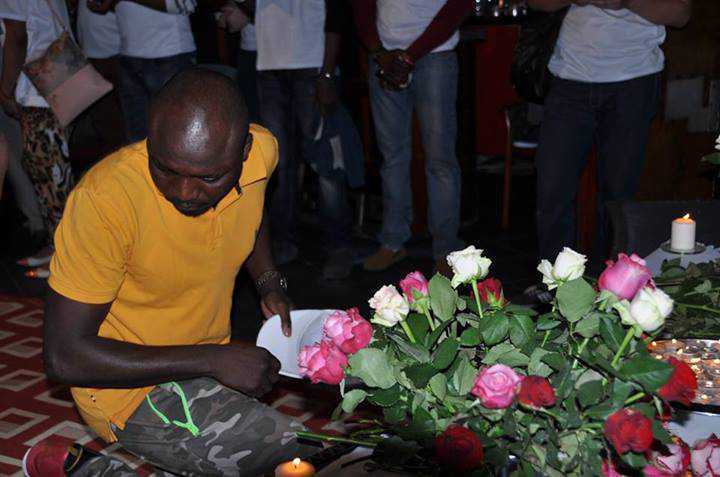 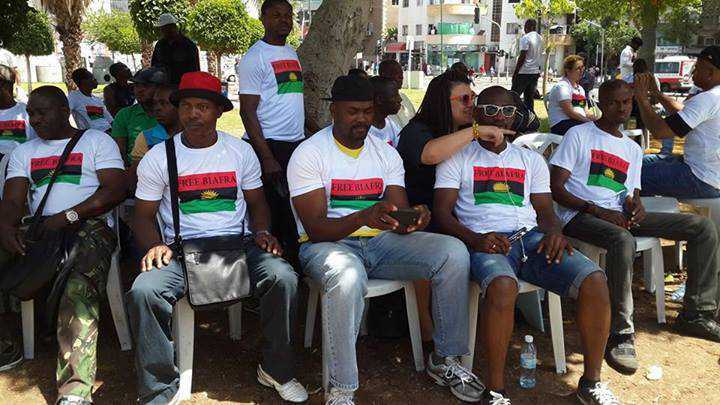 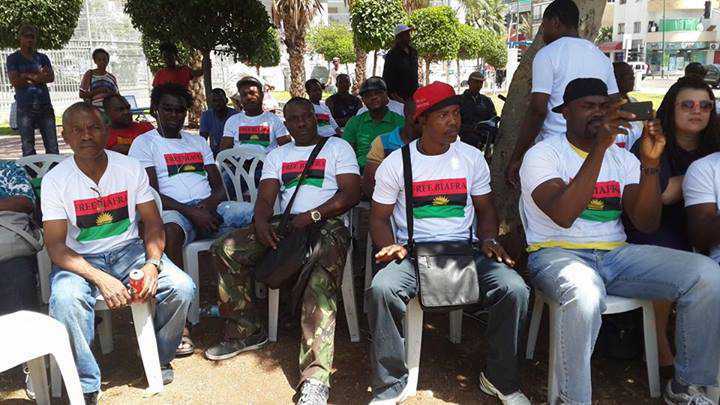 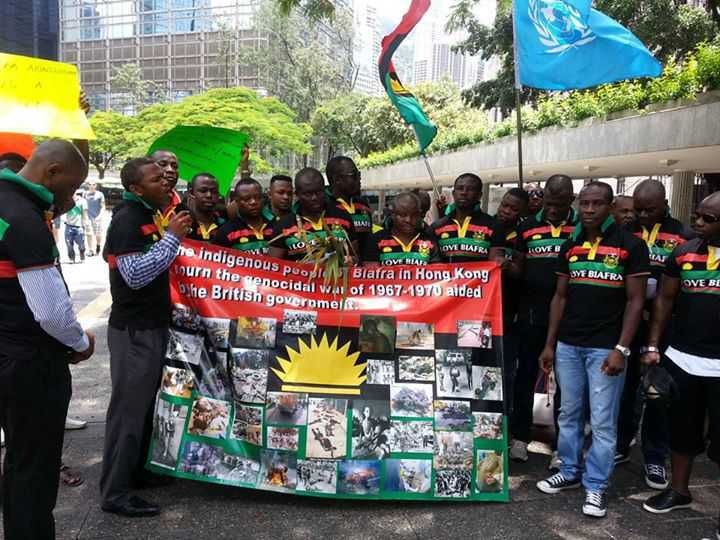 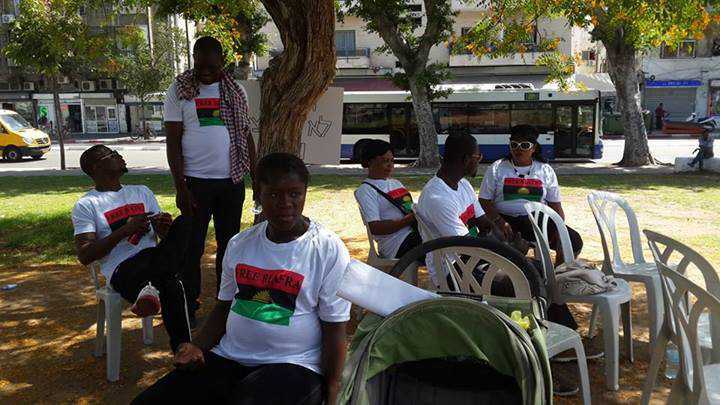 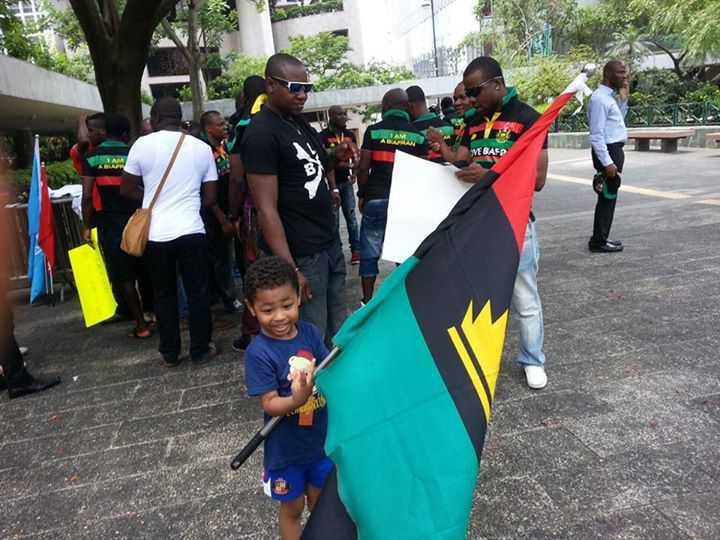 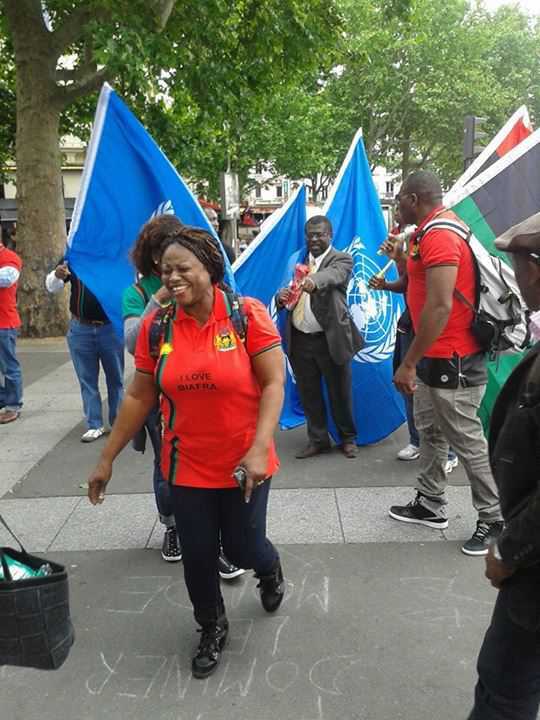 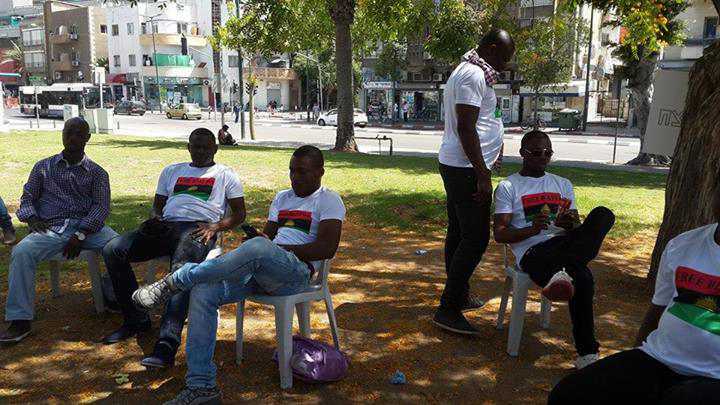 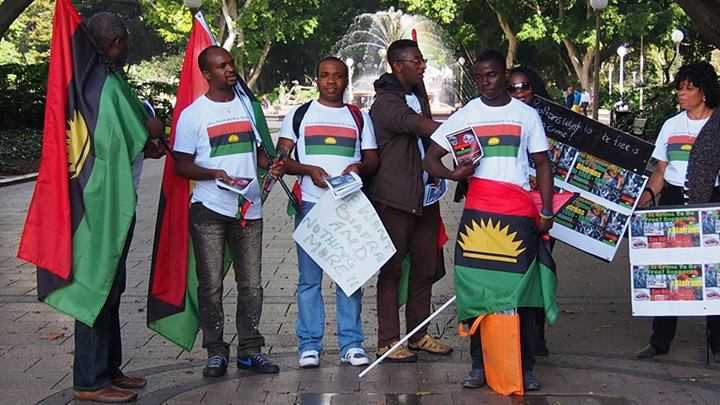 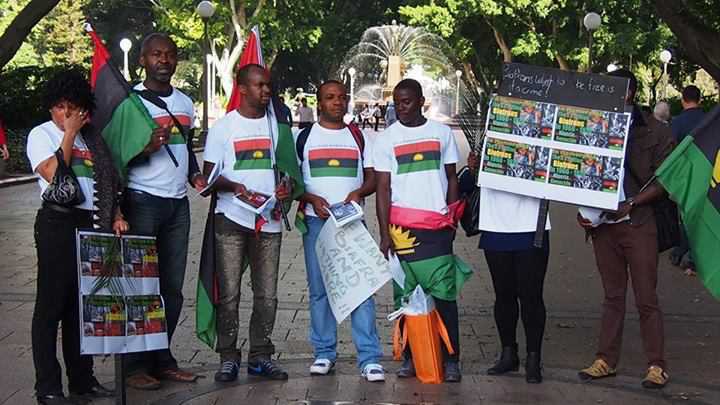 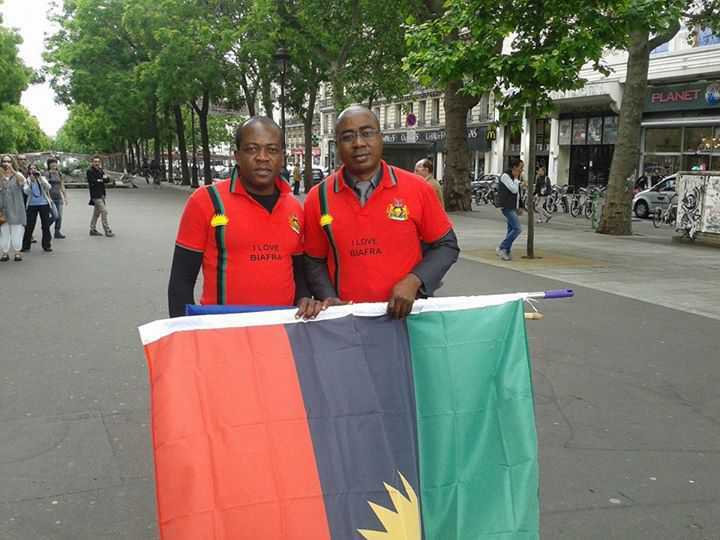 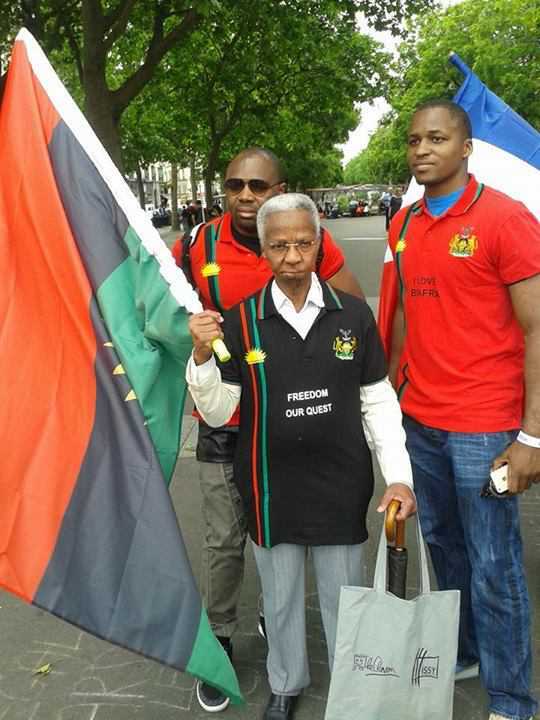 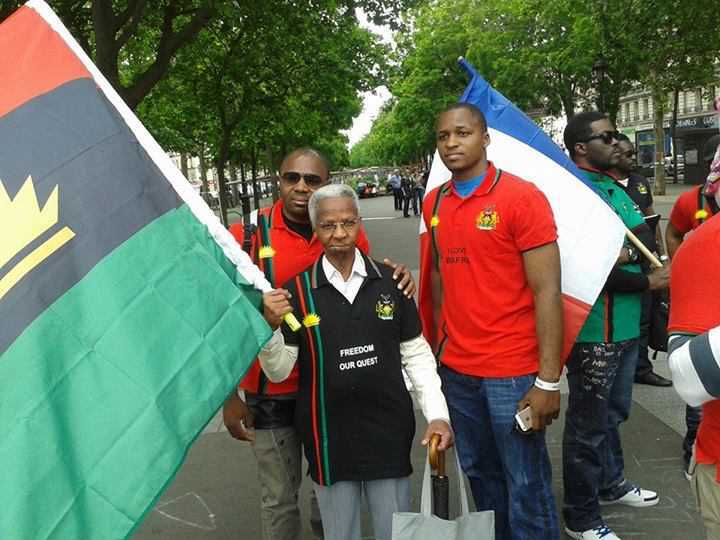 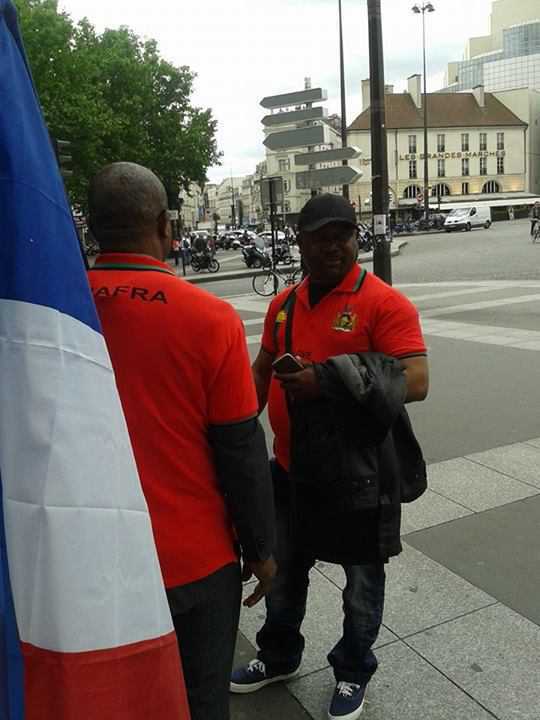 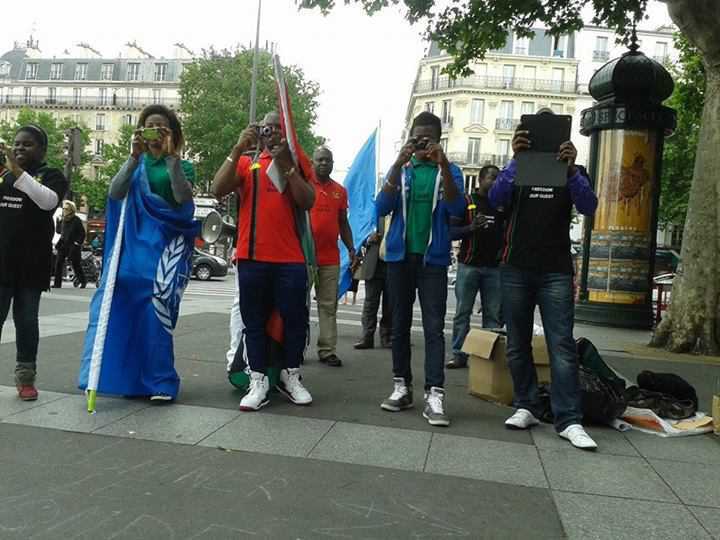 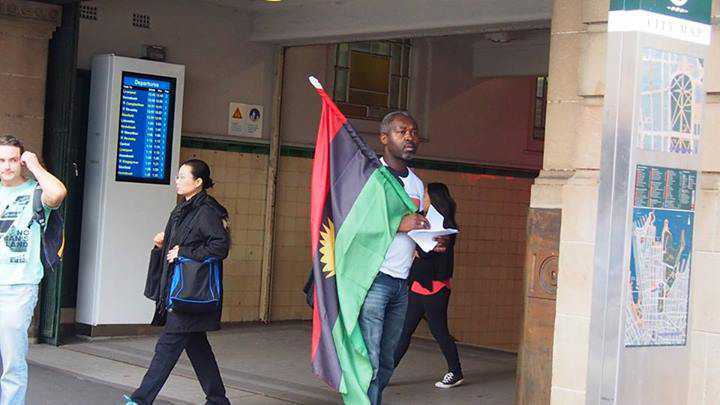 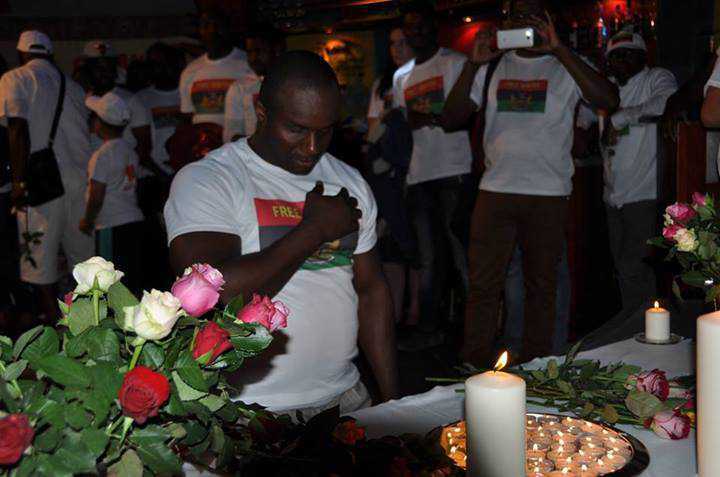 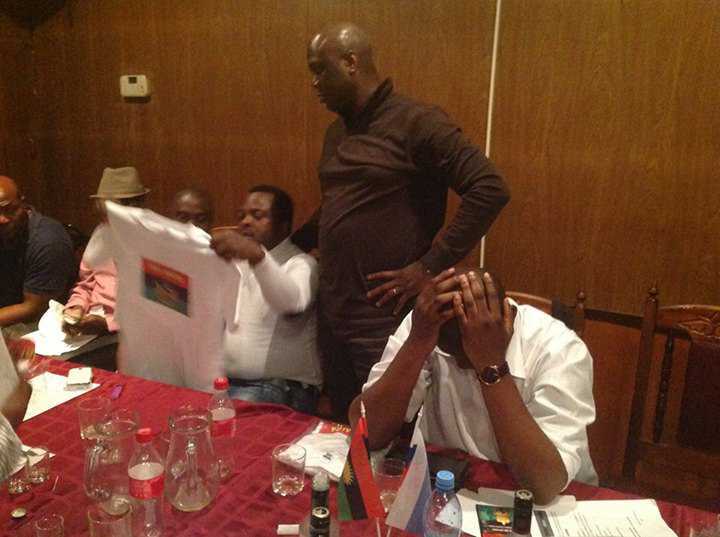 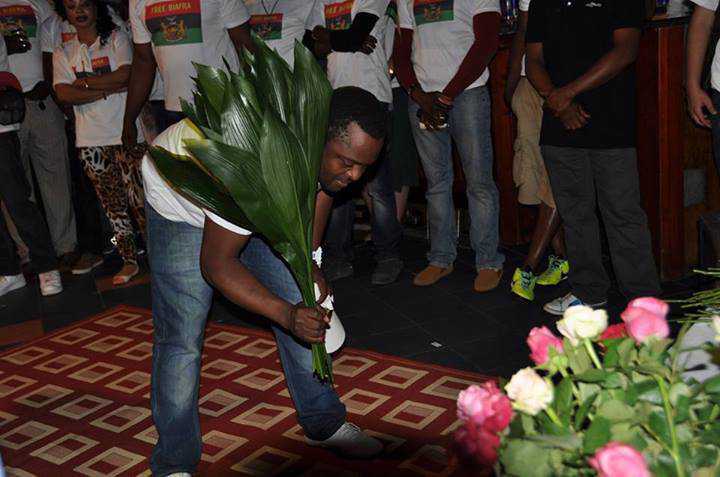 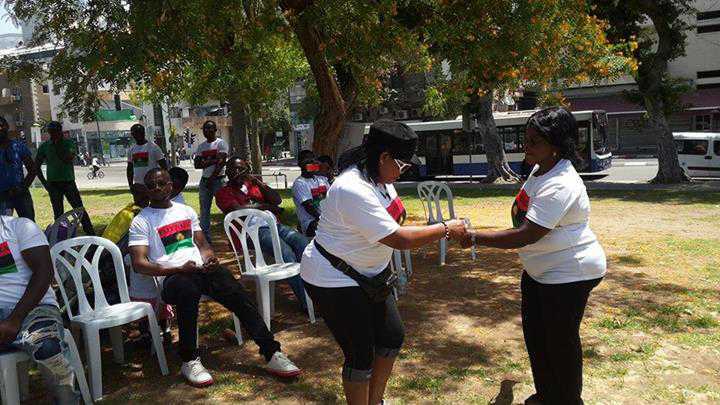 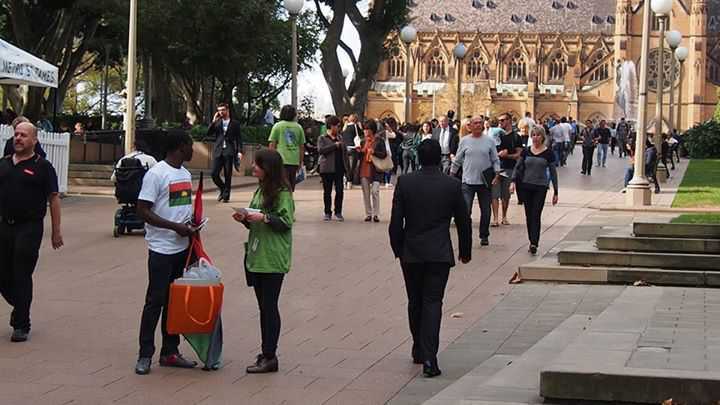 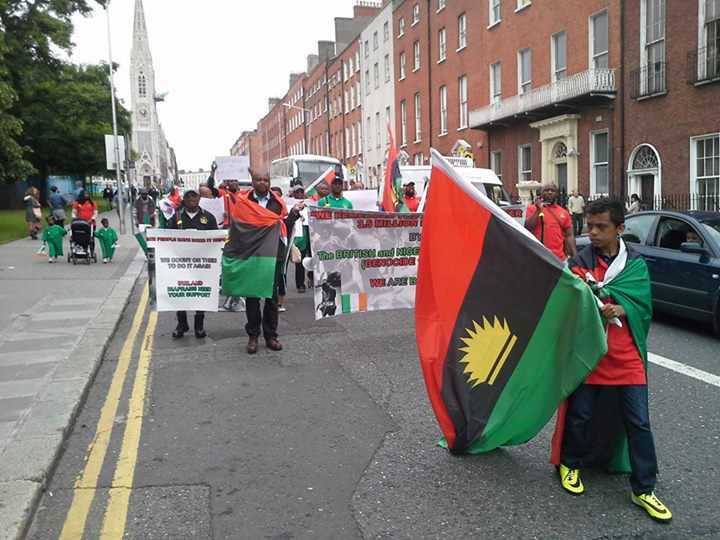 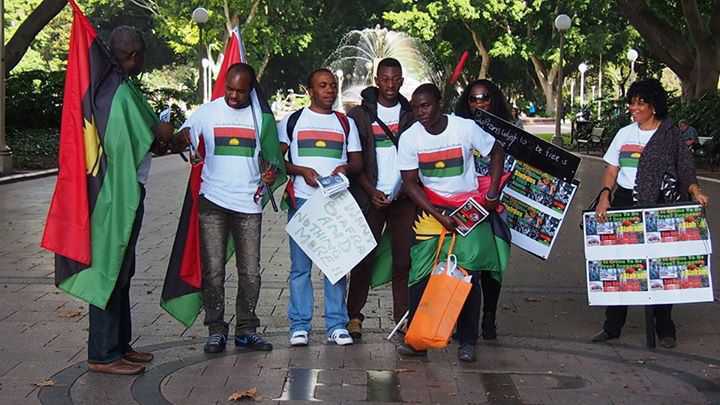 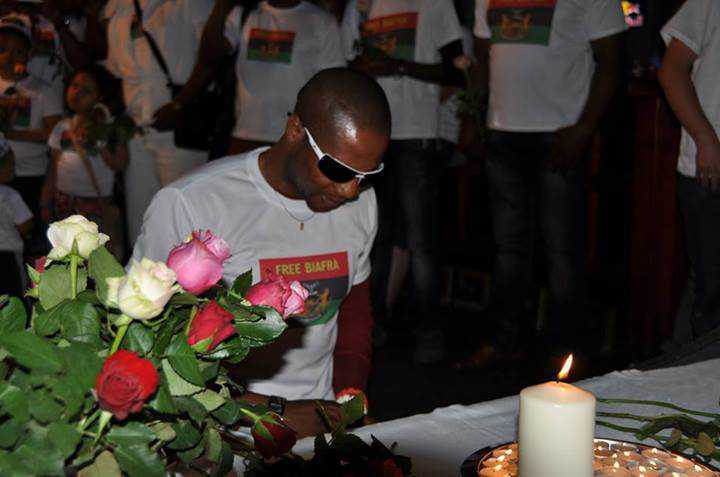 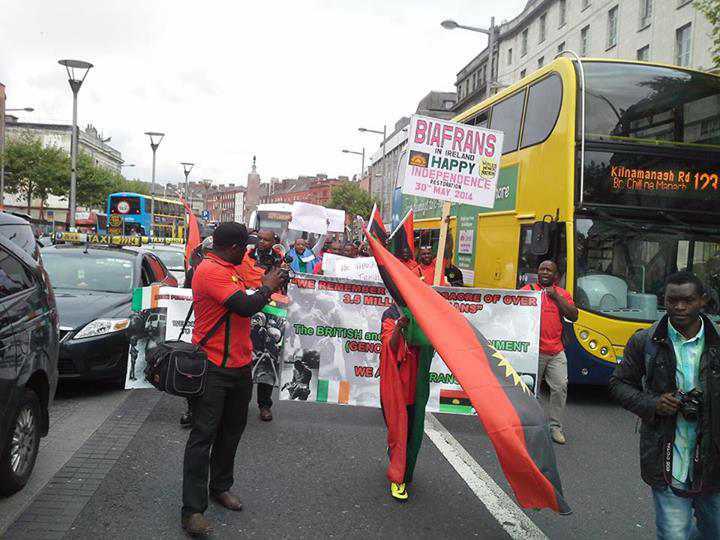 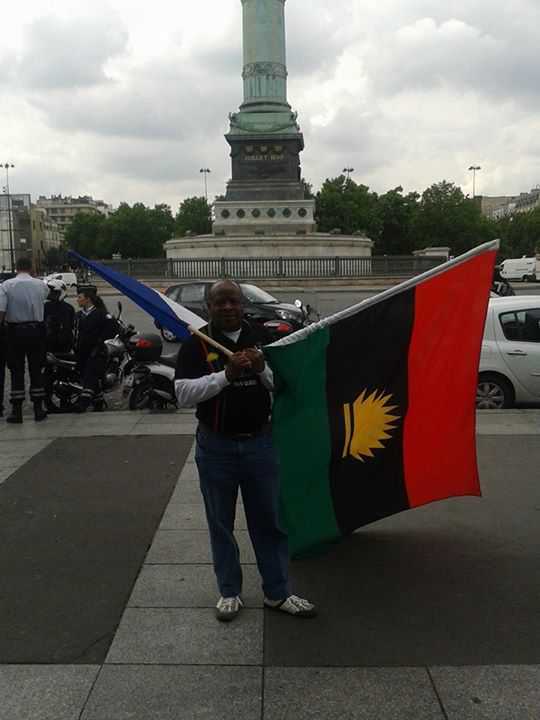 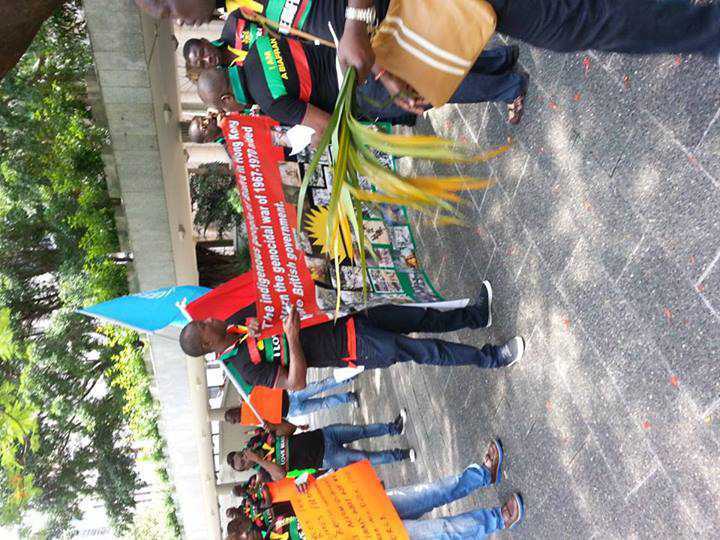 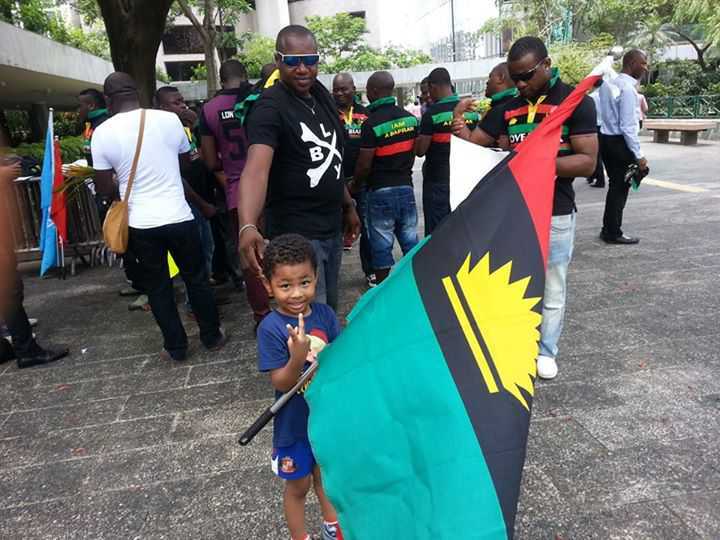 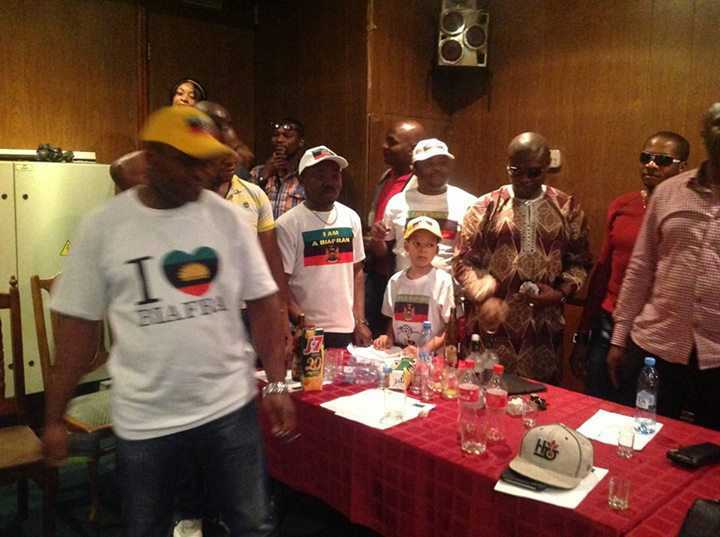 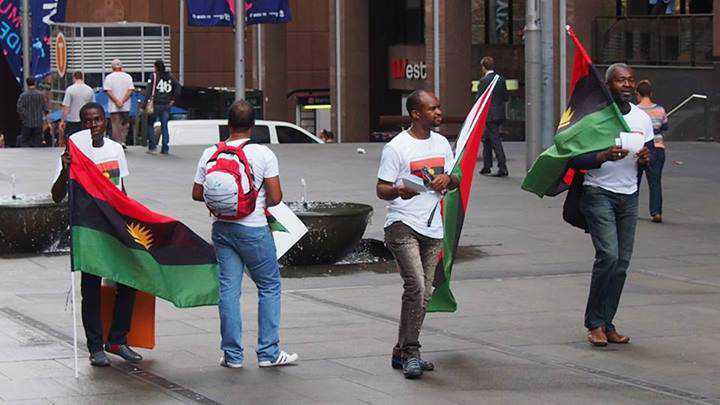 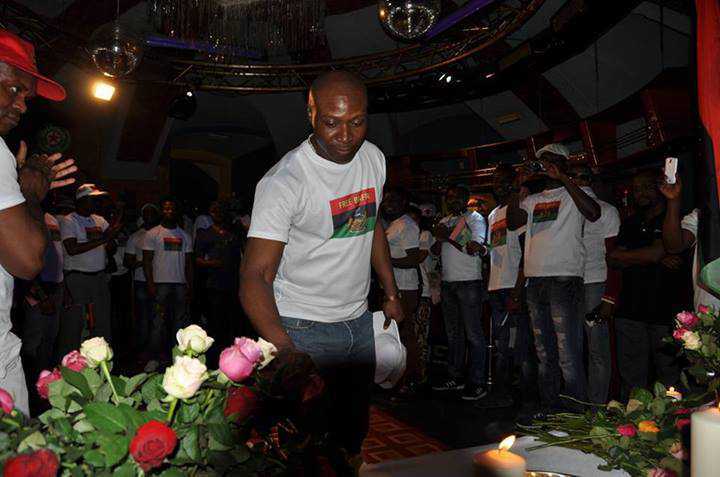 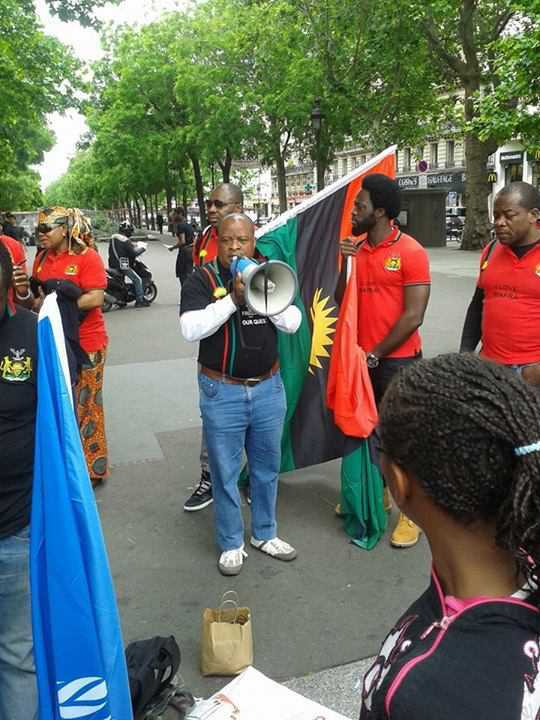 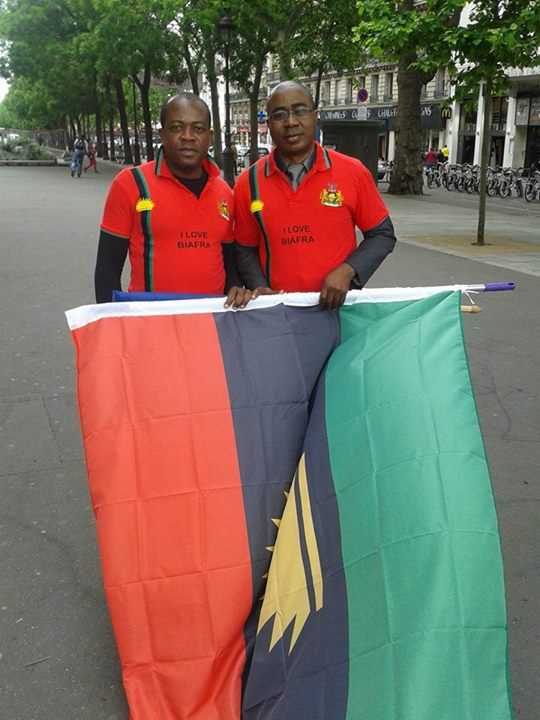 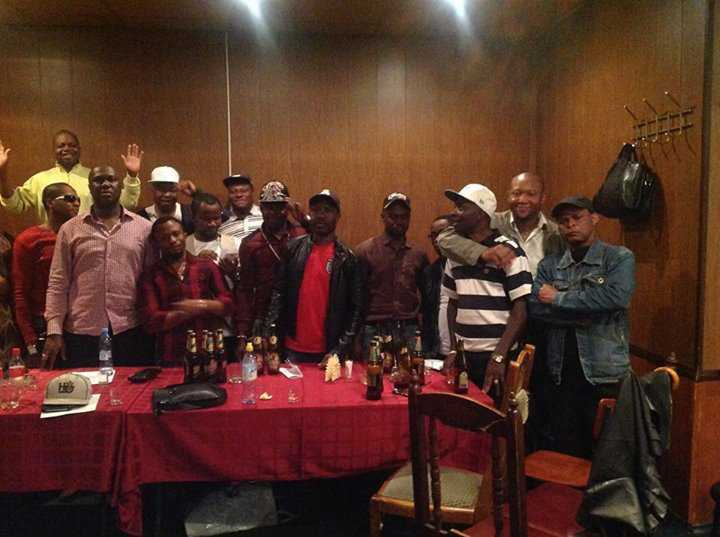 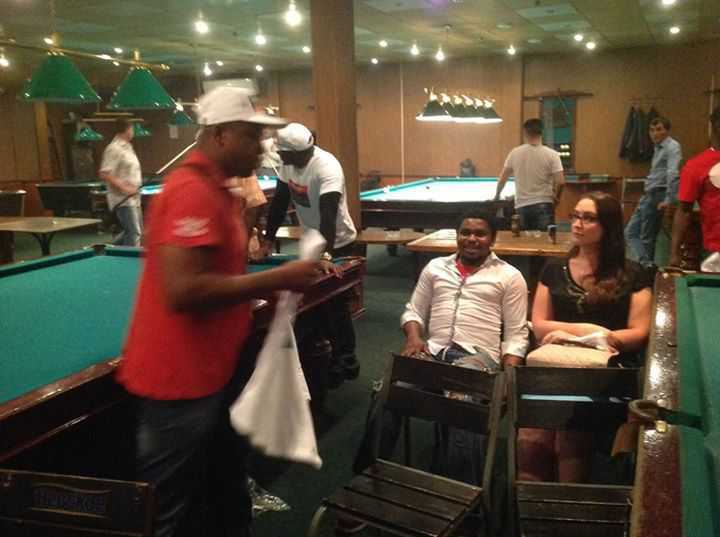 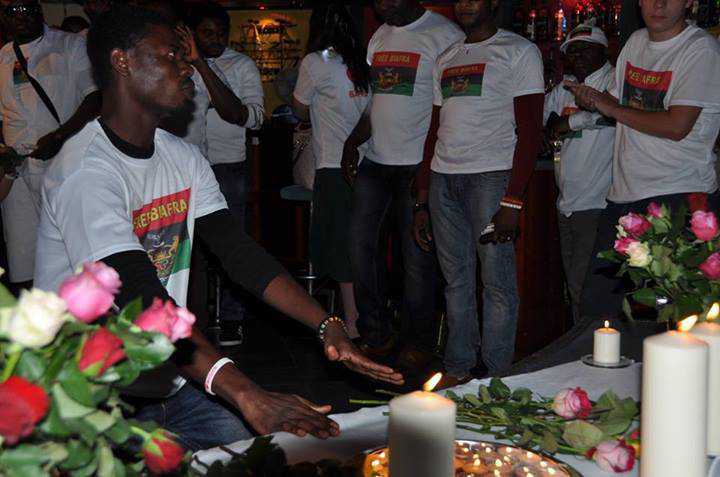 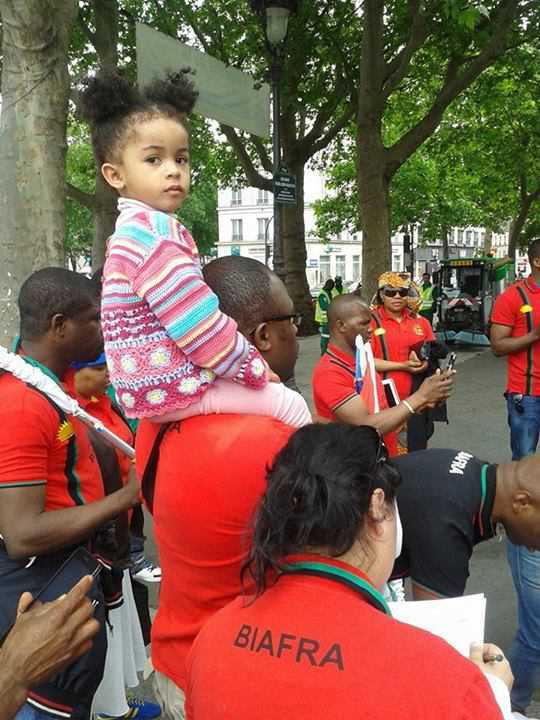 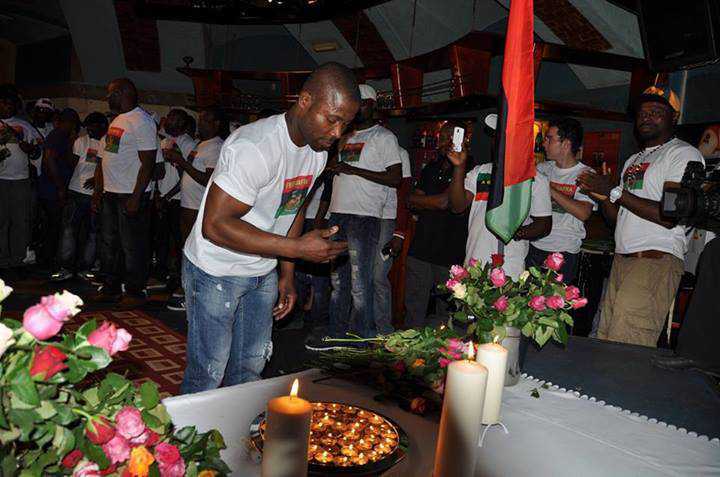 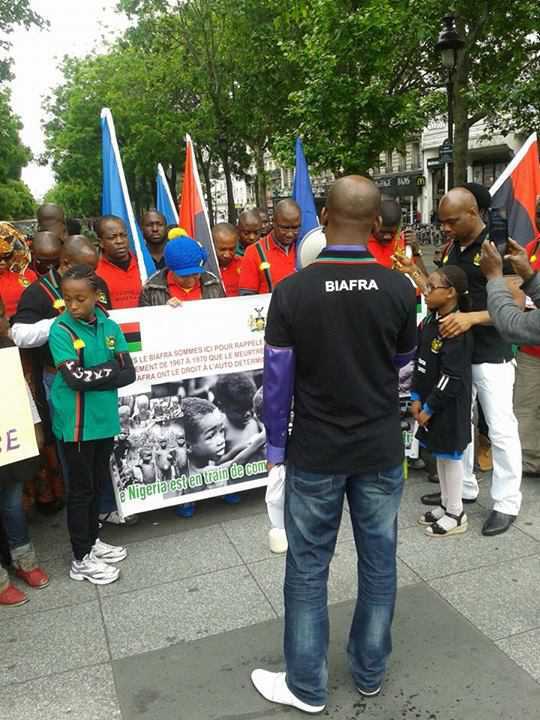 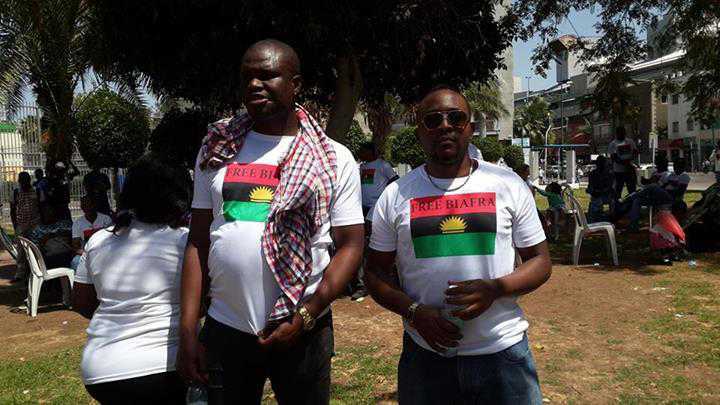 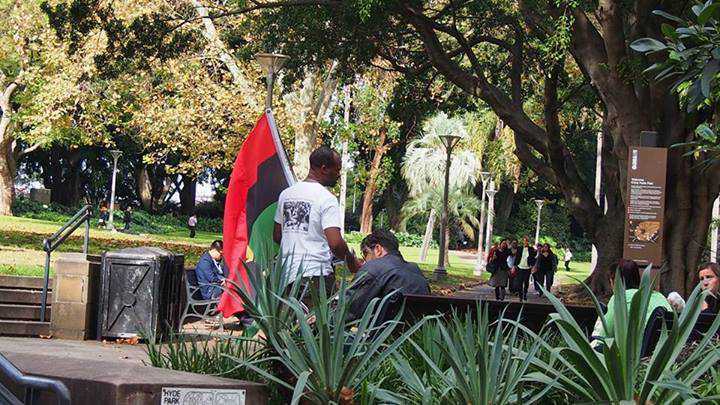 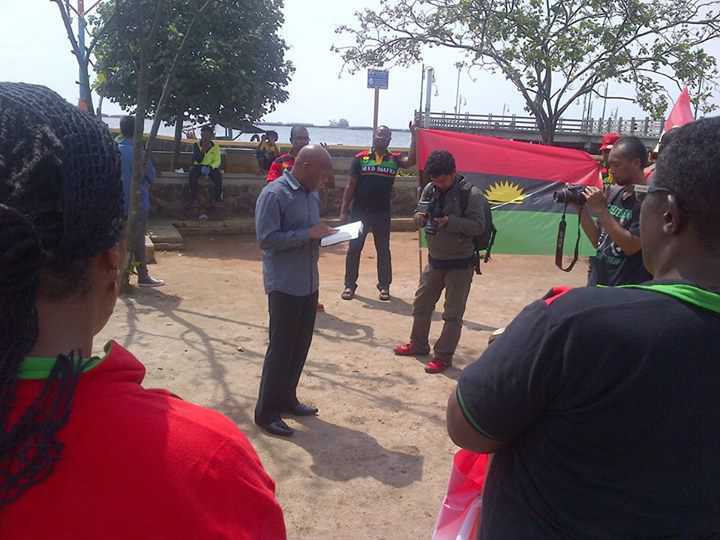 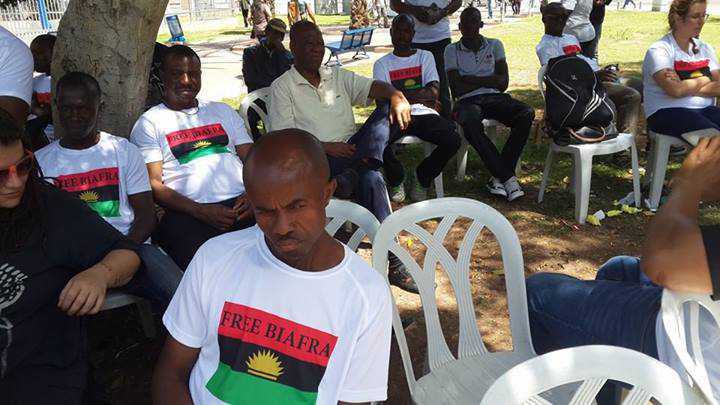 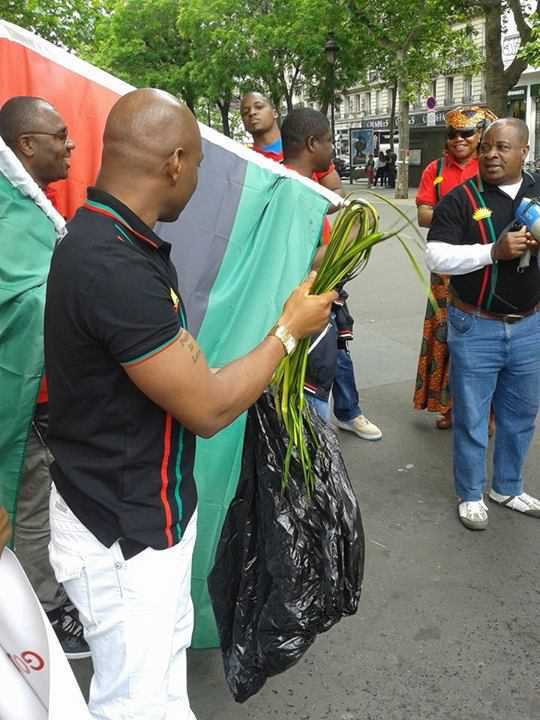 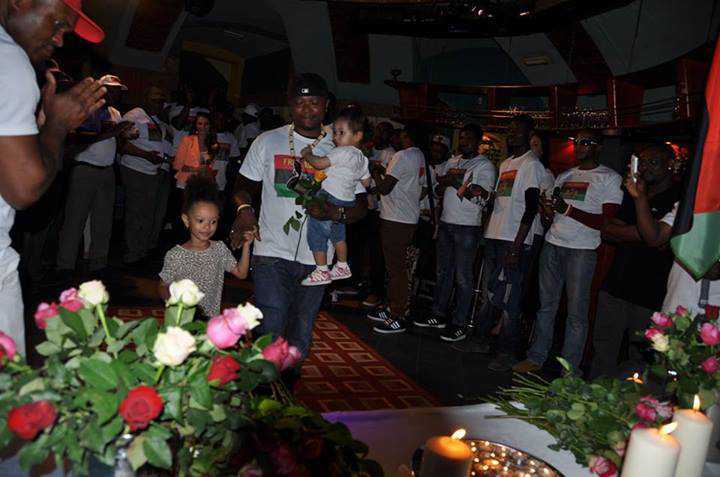 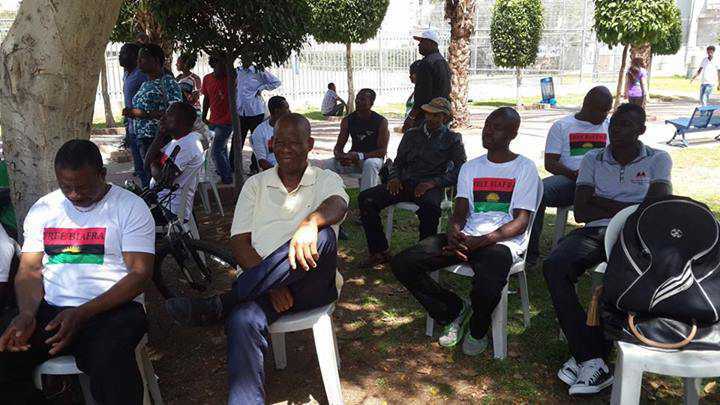 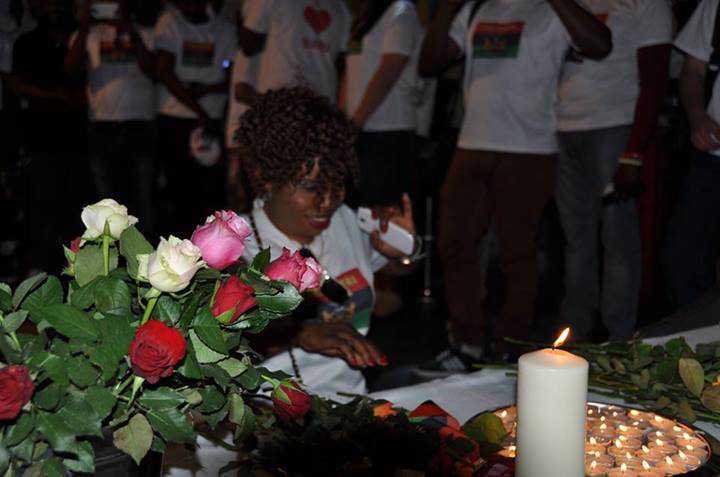 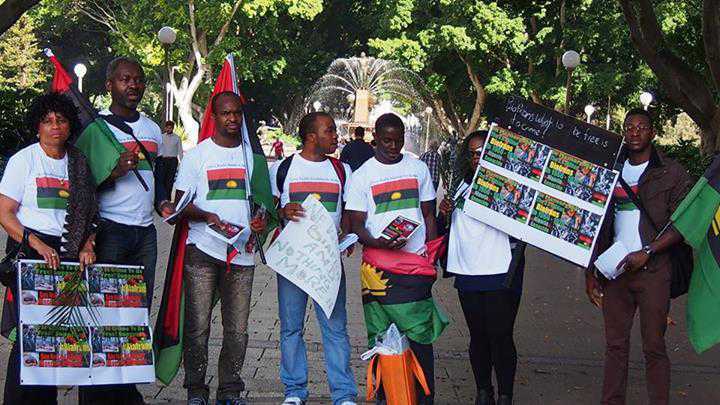 Is a date marked annually by Biafrans globally, in their sincere wishes that their enemies never lived. 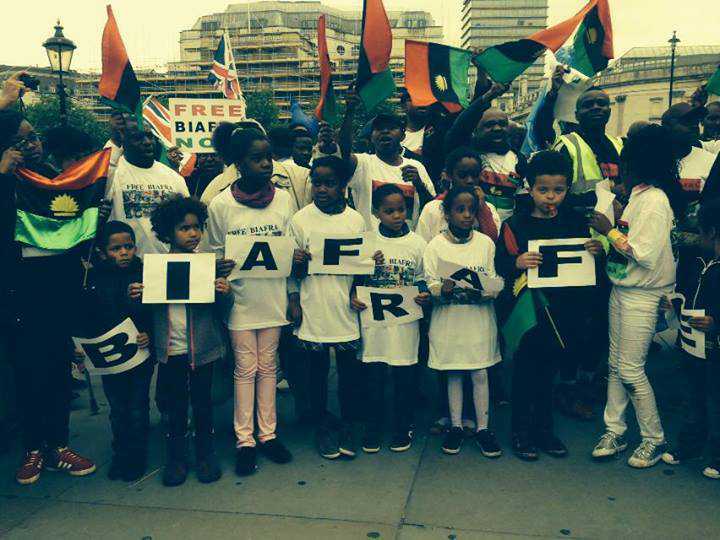 This is a day we remember the merciless brutality and wilful annihilative killings of Biafran children by Nigeria and her British, France and Arab allies. 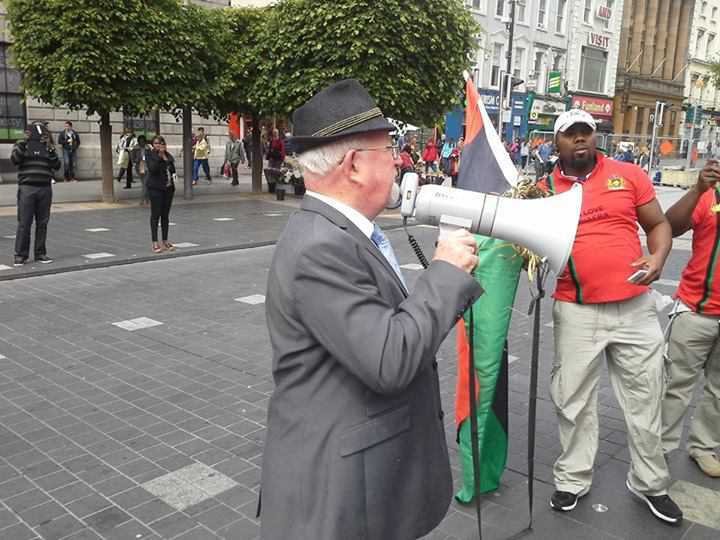 It is a day we remember weapon of starvation as applied, in the war of attrition targeted against innocent Biafran children. 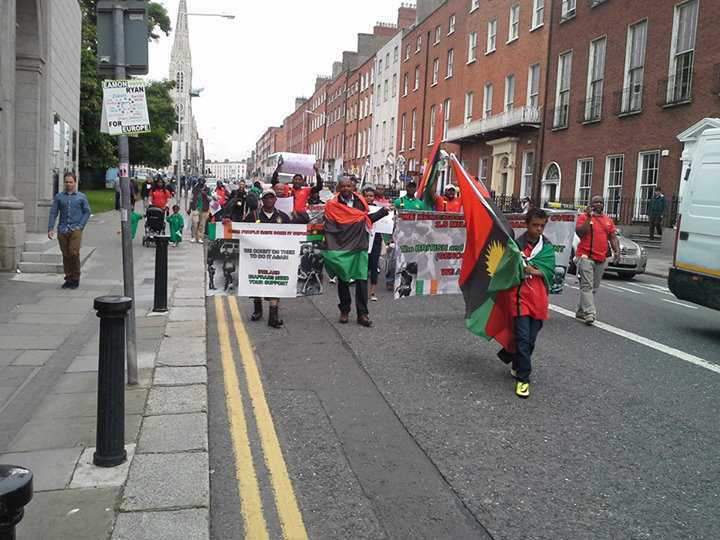 It is a day we remember the cruel embargo and landlock placed against Biafrans so that they will never exist. 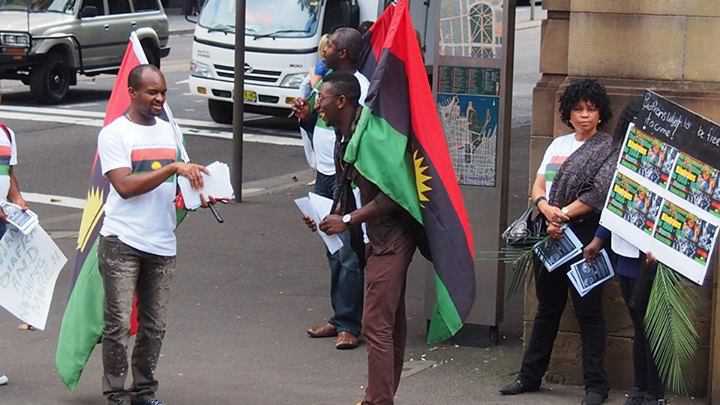 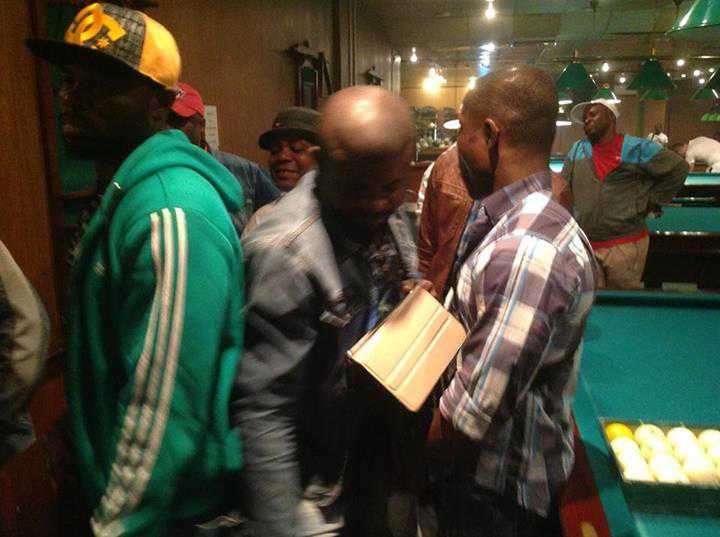 This is the day Biafra covenant box was stolen by the enemies. 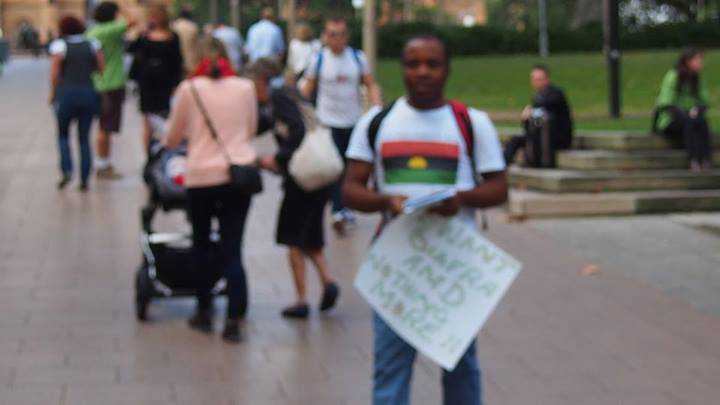 It is a bloody moon day when life and hope of survival slipped out of touch. 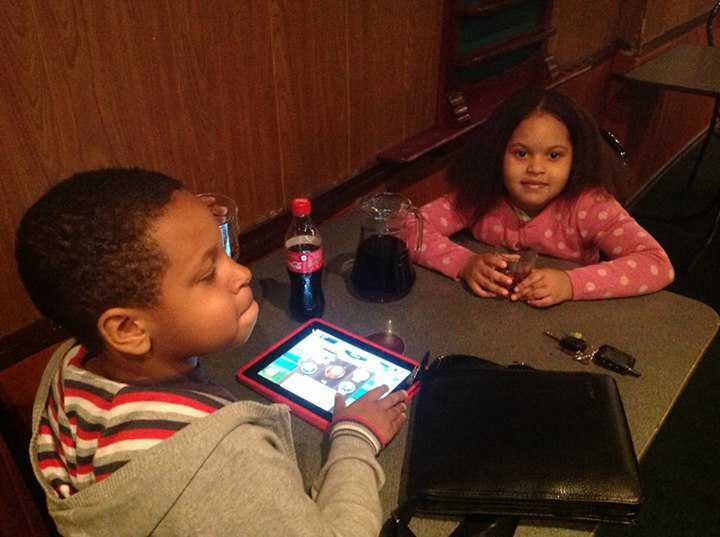 A day the sun turned red and the moon refused to beam it’s light. 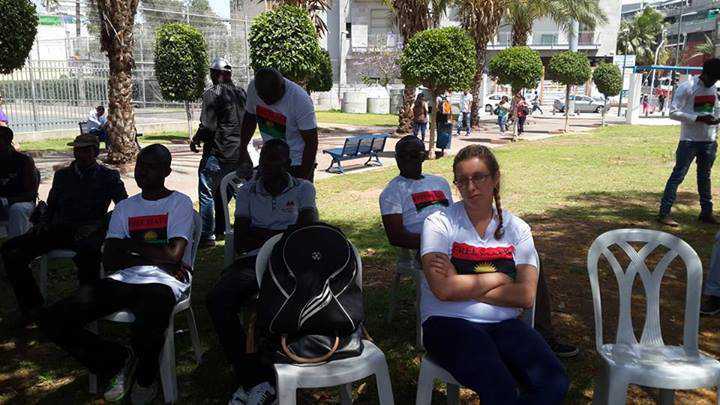 It is a day we asked for bread and they administered us with stone. 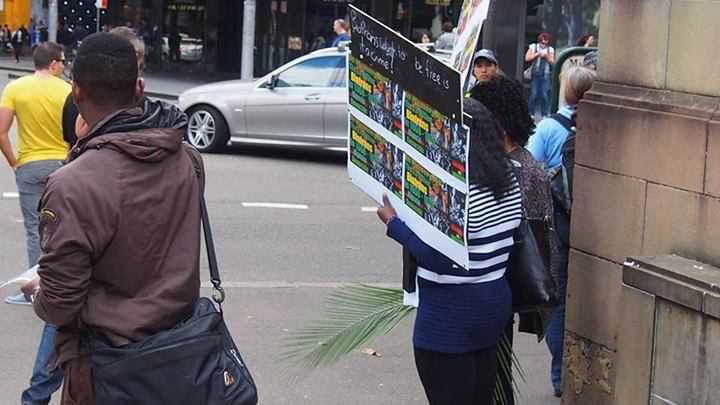 The day we asked for fish and they gave us serpent. 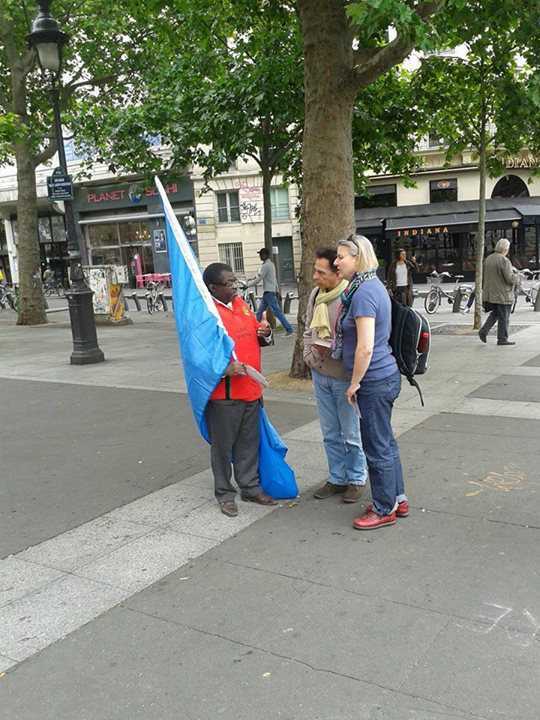 A day we asked for water and poison was given to us to quench our thirst even unto death. 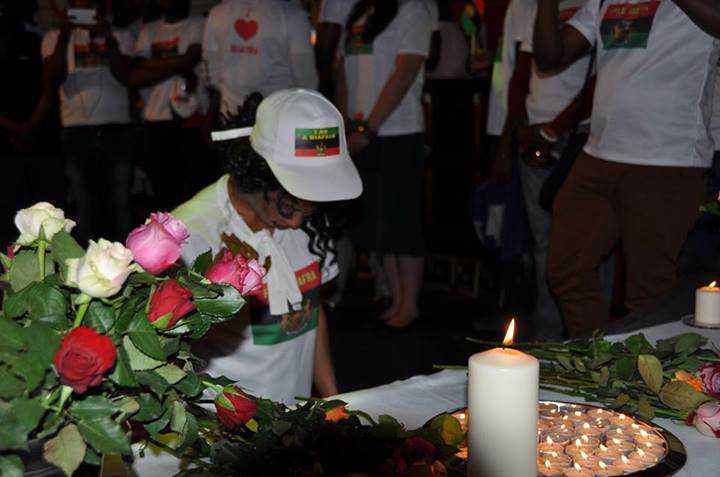 It is a day we remember our horrifying visitation. 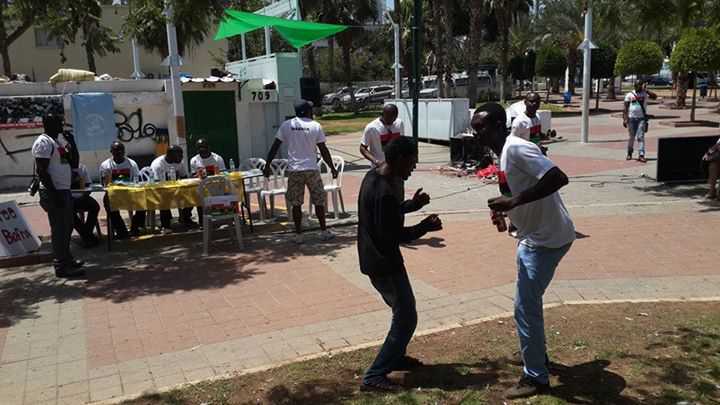 This is a day of revitalization. 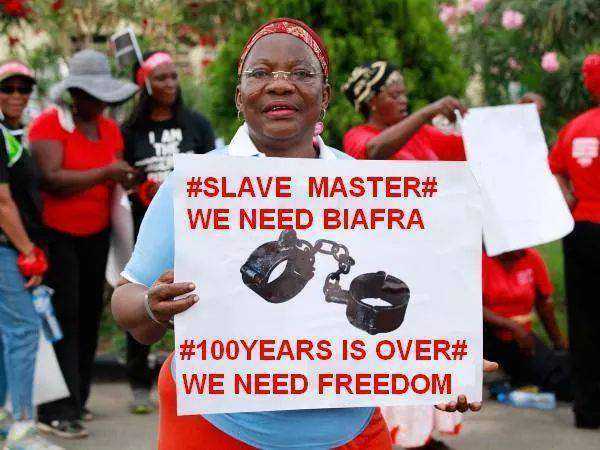 A day of recovery of power. 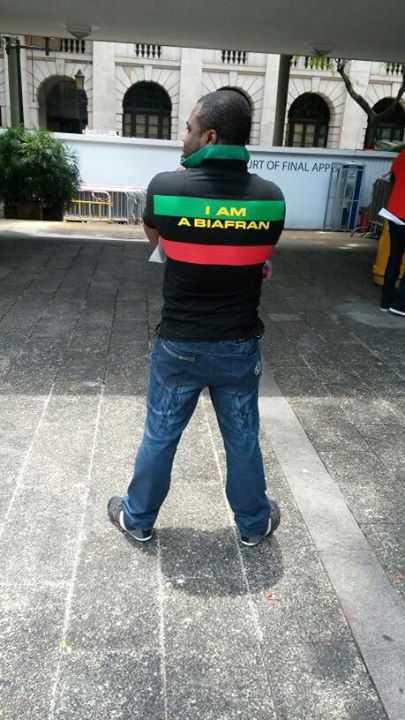 A day our manliness, determination and courage are re-fired. 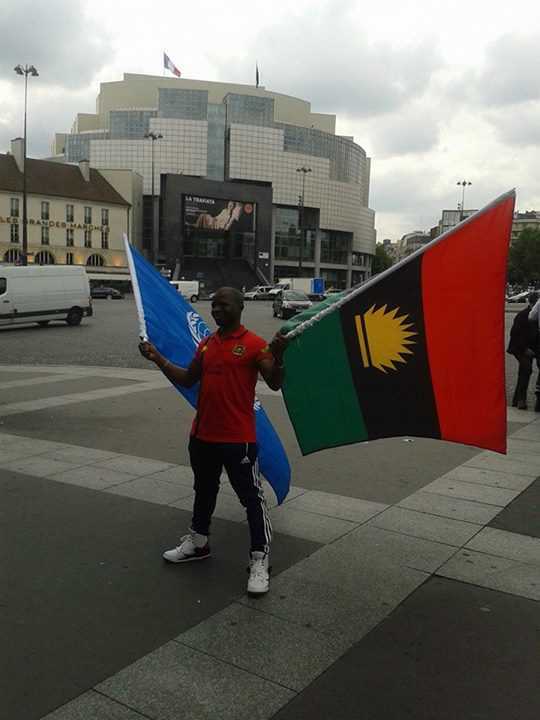 It is a day mercy triumphed for us over and against our enemies. 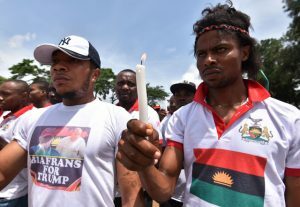 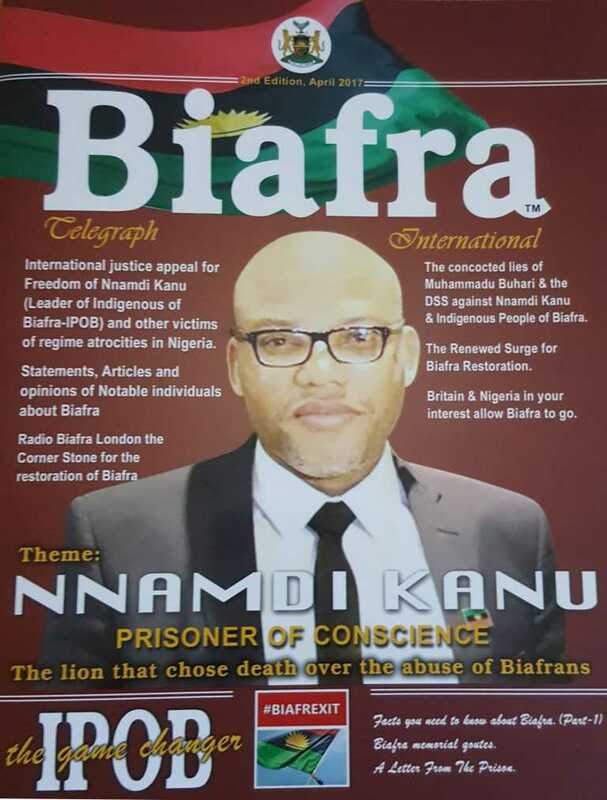 30th of May is a day annually set aside as instituted by Mazi Nnamdi Kanu, the indefatigable and courageous leader of the family of the Indigenous People of Biafra (IPOB) worldwide, to honor Biafran heroes and heroines who paid the utmost price with their lives from 1967 till date that we may have our freedom to uphold our indigenous identities as a people. 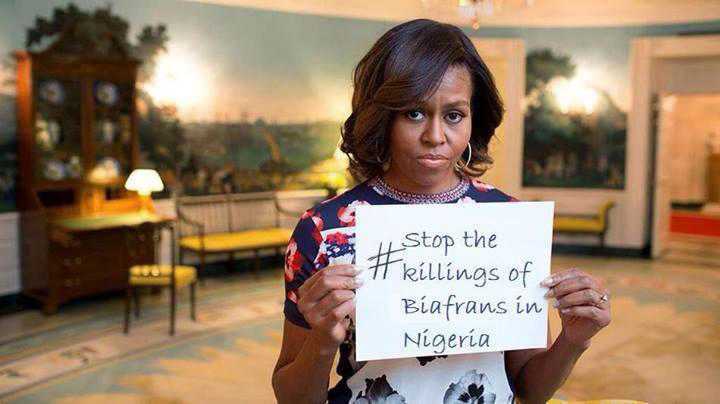 Many have been killed, maimed and extra-judicially incarcerated just because of what they believe in. 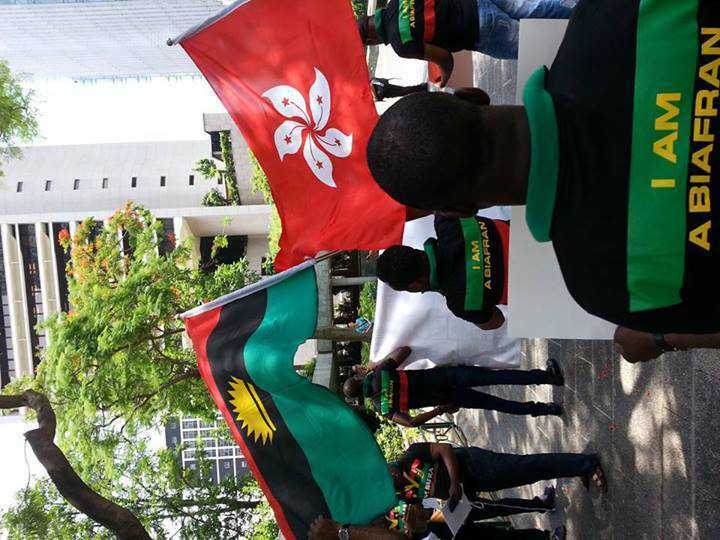 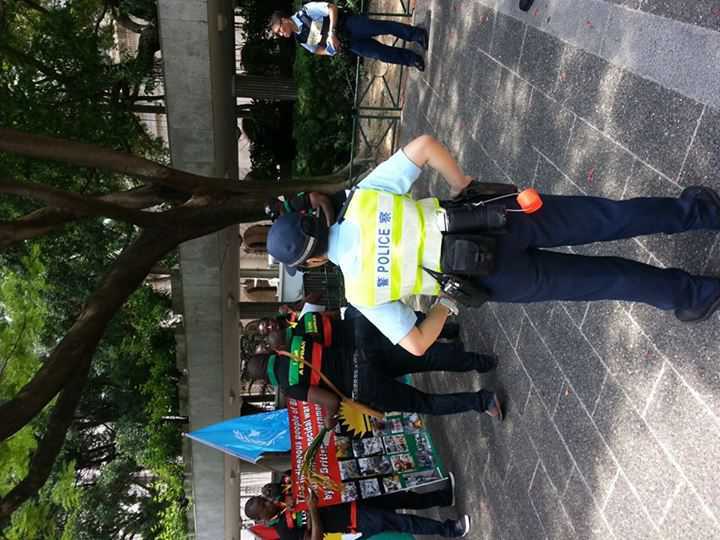 Biafrans are being killed in the exercise and defense of their rights and that of their land. 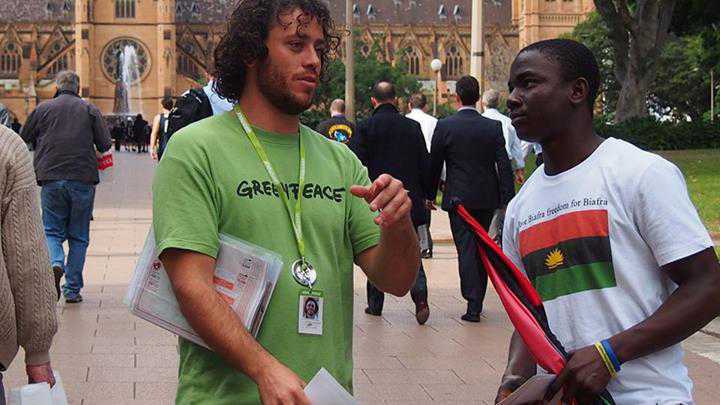 They were being killed because of their God-given potentials indisputably being displayed in their various fields of life endeavors. 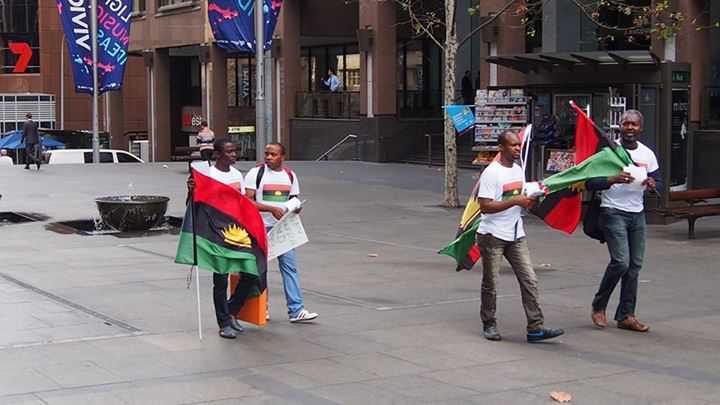 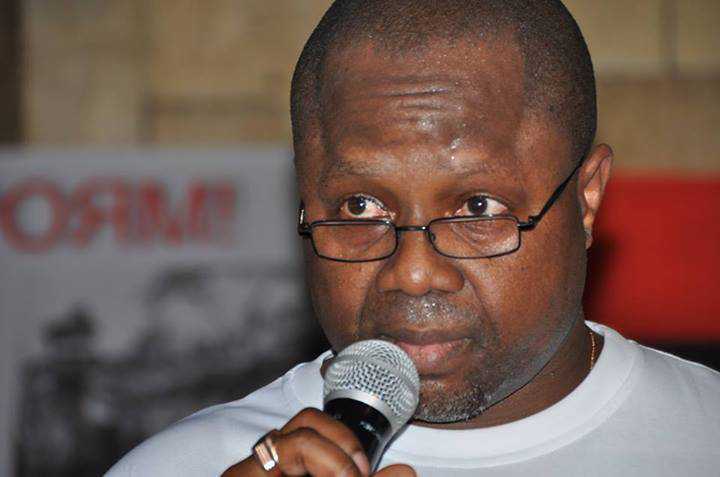 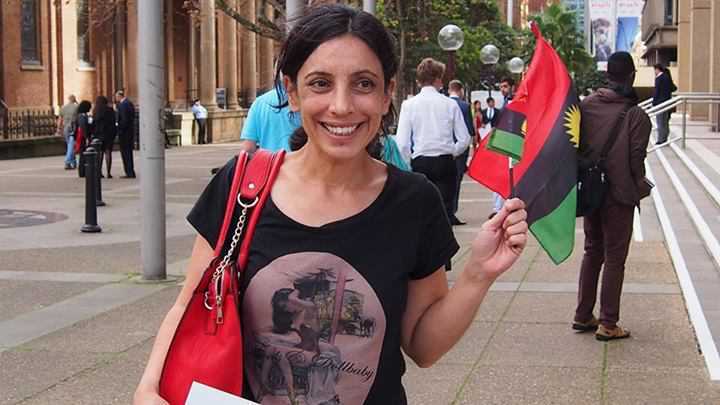 According to a Portuguese journalist who is yet alive, who documented events at the battlefield of the Nigerian/Biafran war of 1967, over five million (5,000,000) Biafrans were massacred in cold blood. 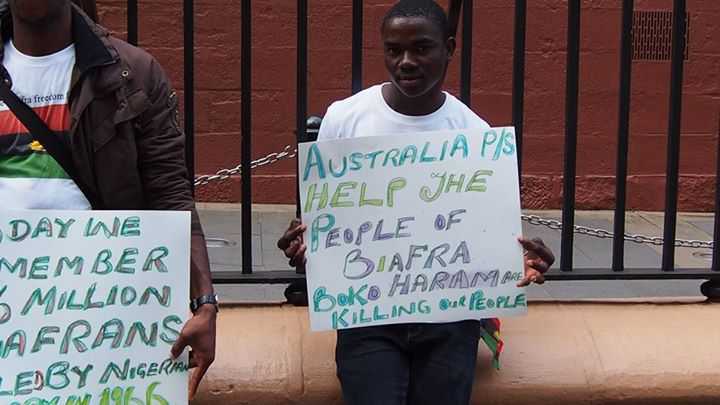 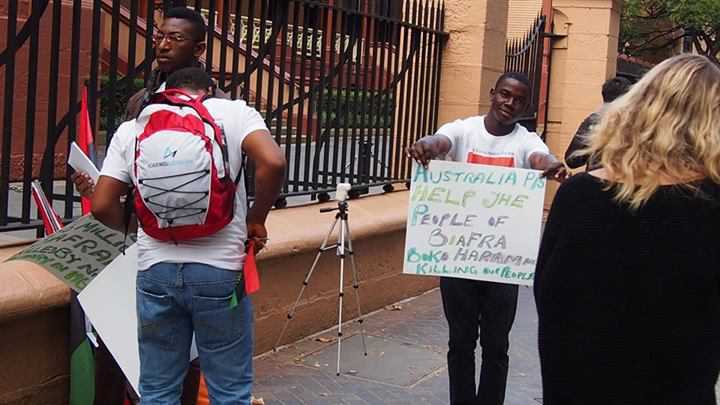 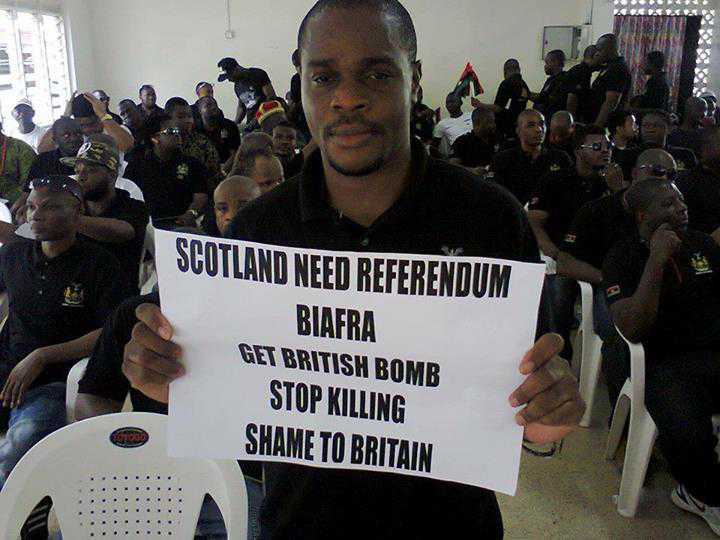 But the jaundiced and grossly biased Nigeria/British media reported 3.5 million Biafrans only, as killed. 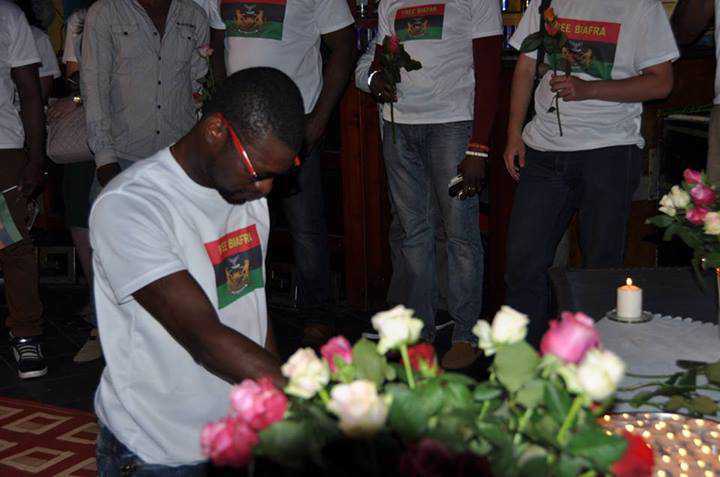 In whichever way, our slain brethren deserve being honored as being globally practiced. 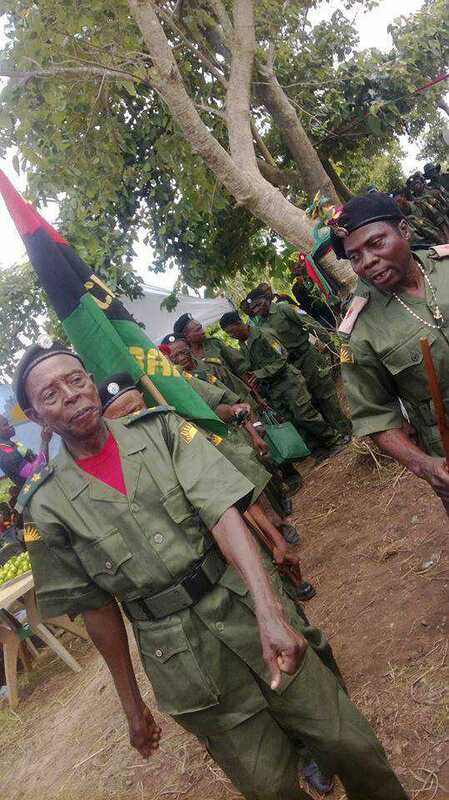 They died while in defense of their fatherland and in preservation of generational lives. 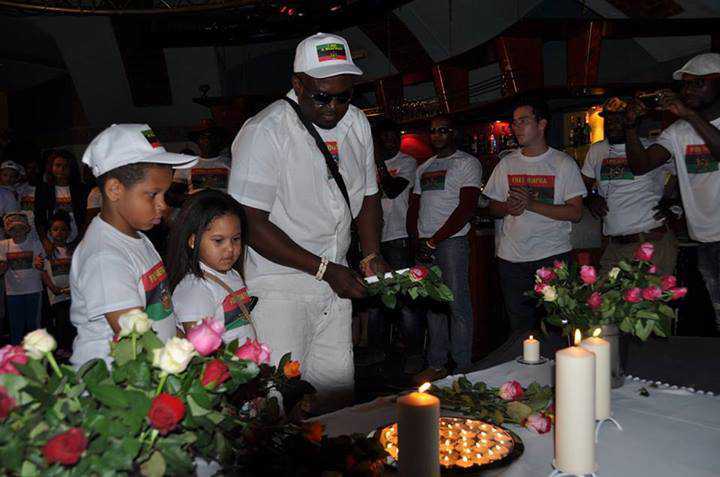 30th day of May annually, is a day due respect is accorded our dead and even the living. 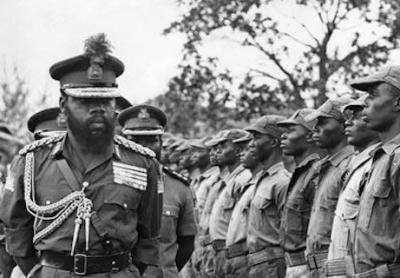 They shall continually be remembered for the utmost sacrifice they made with their lives that we might live. 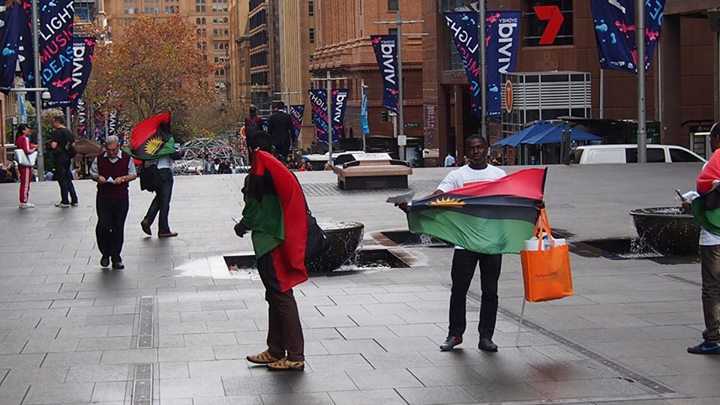 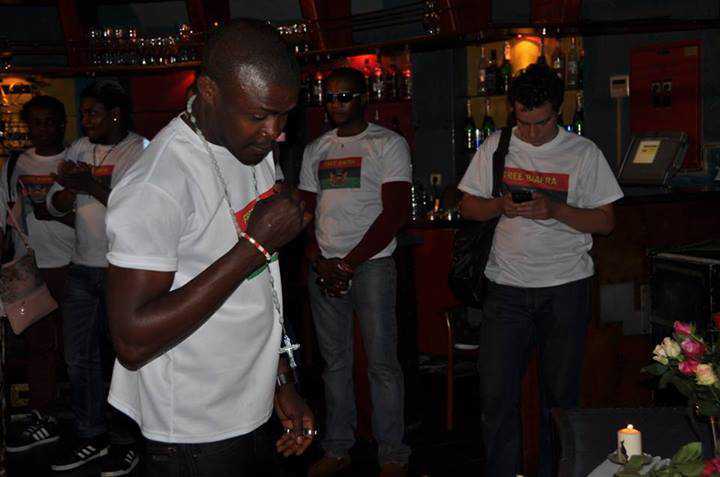 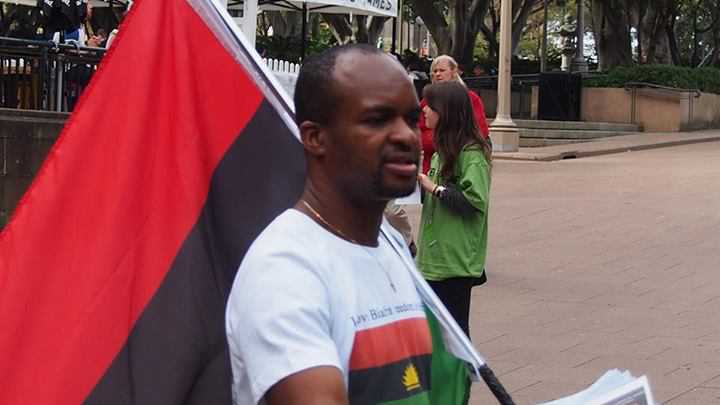 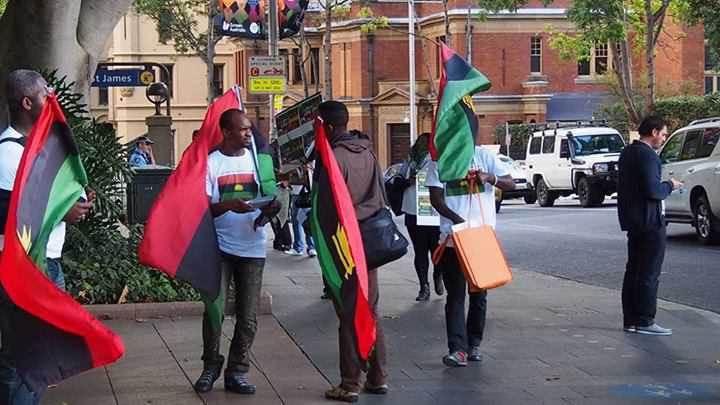 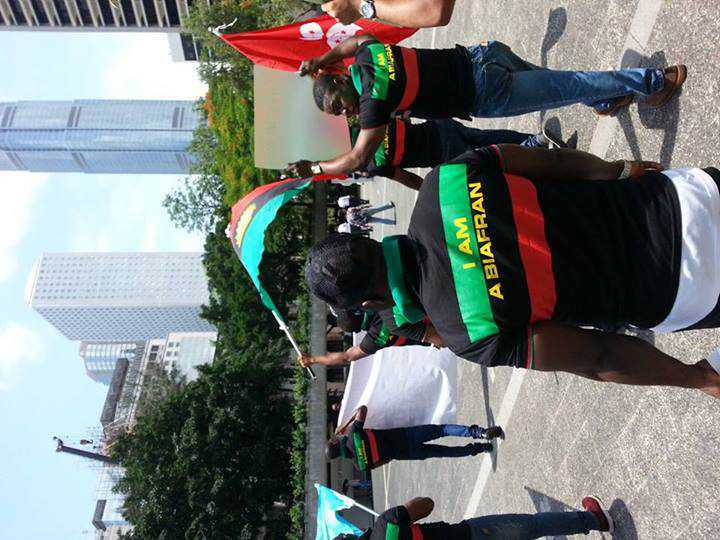 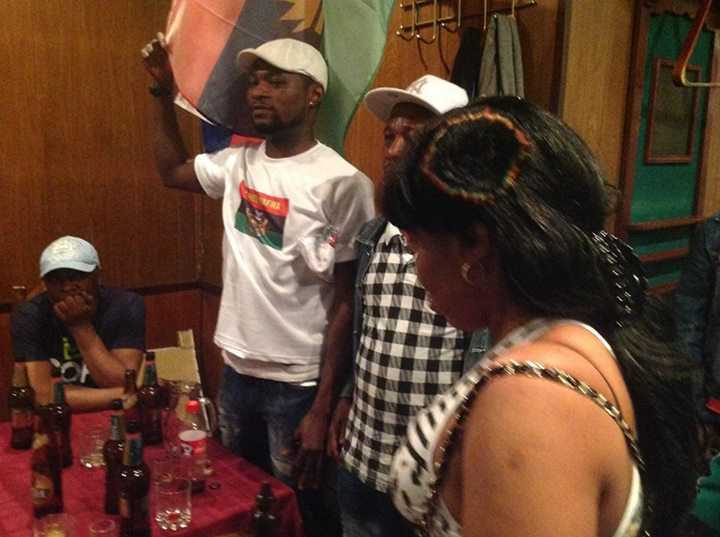 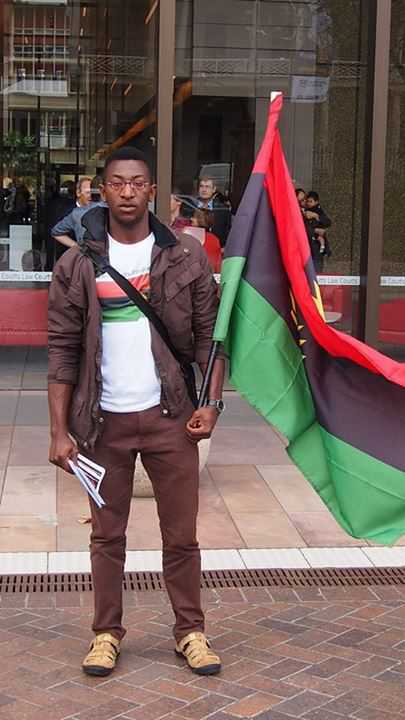 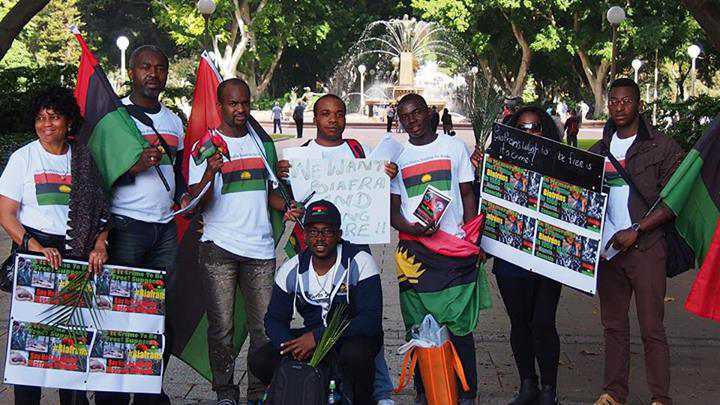 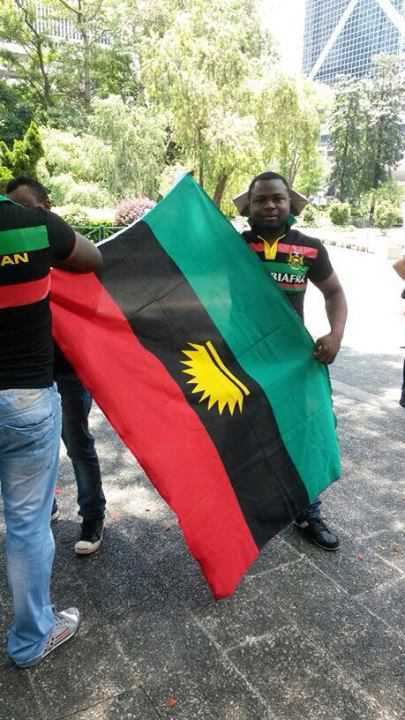 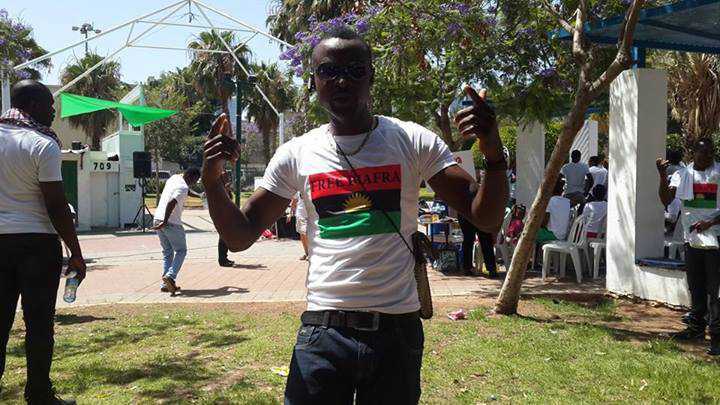 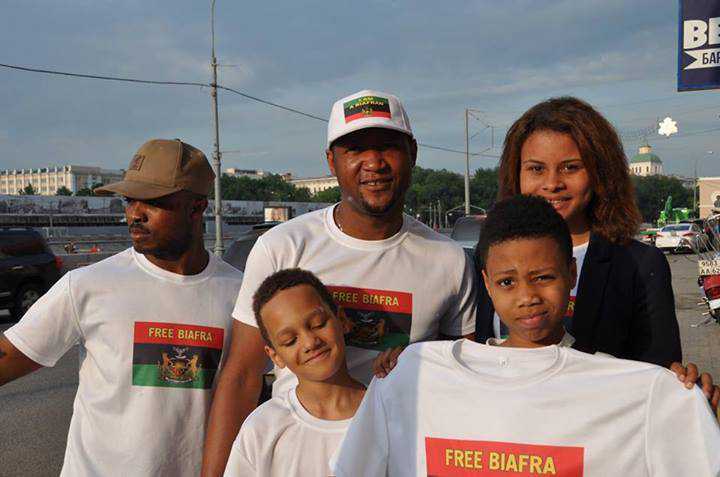 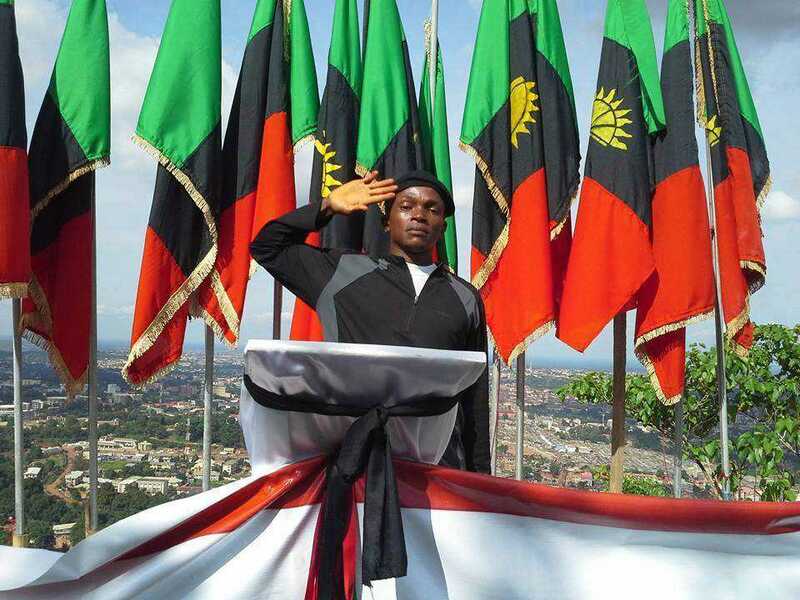 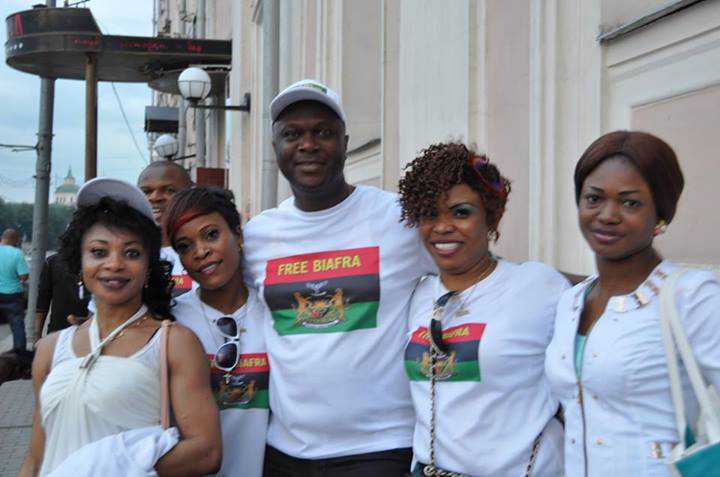 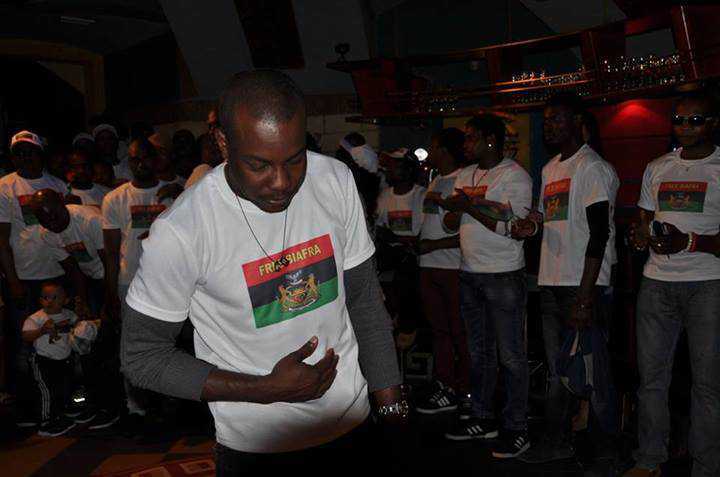 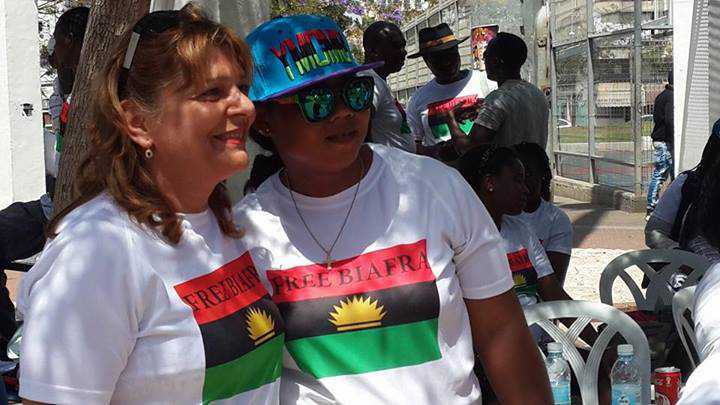 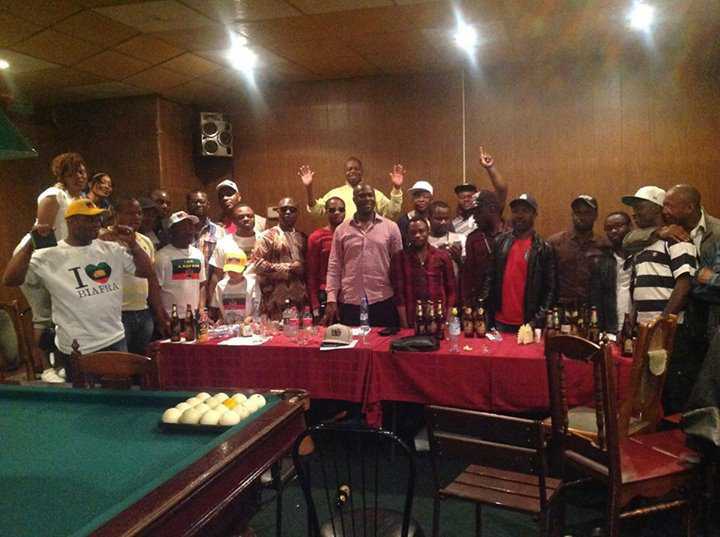 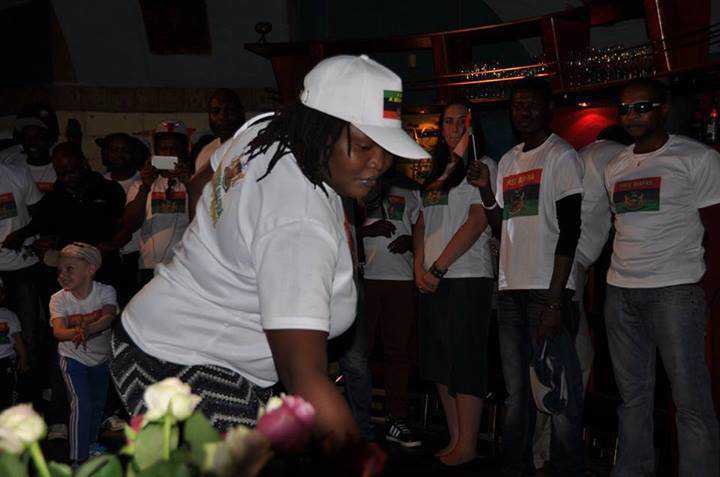 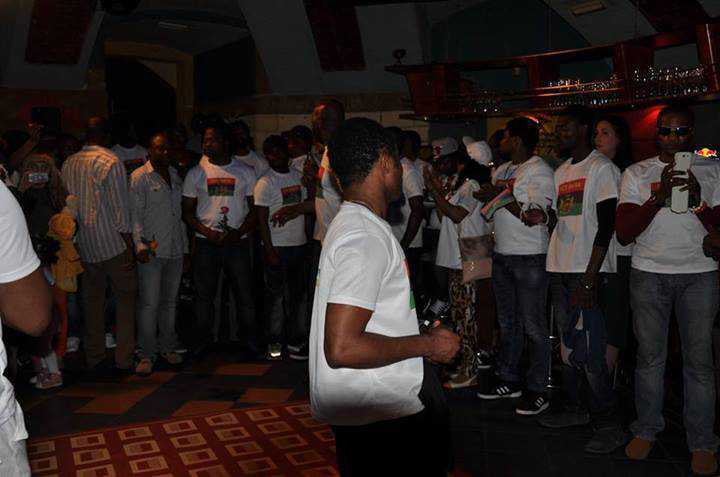 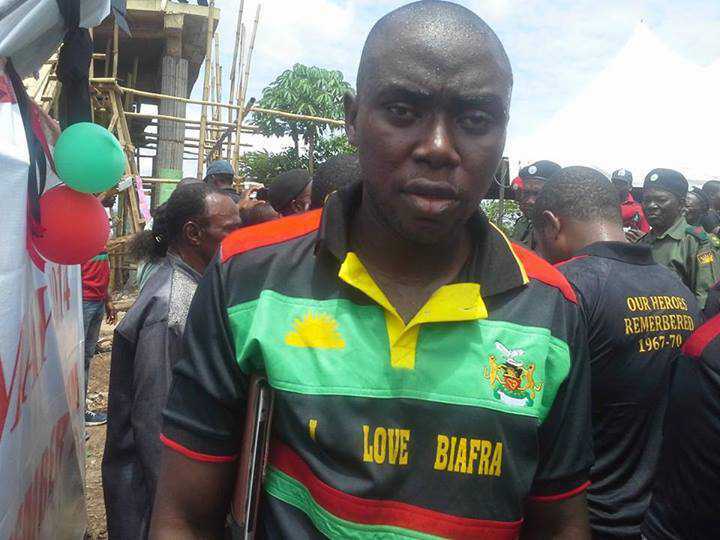 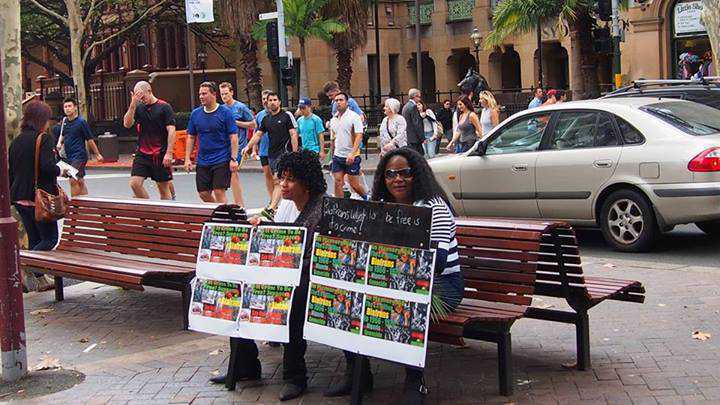 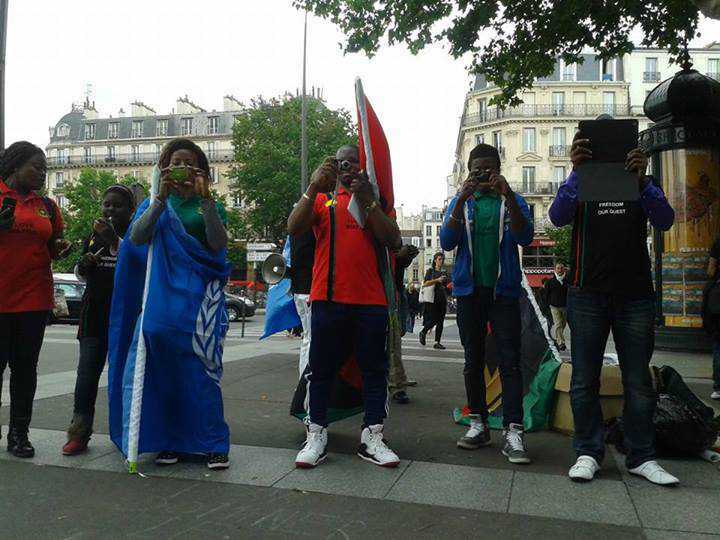 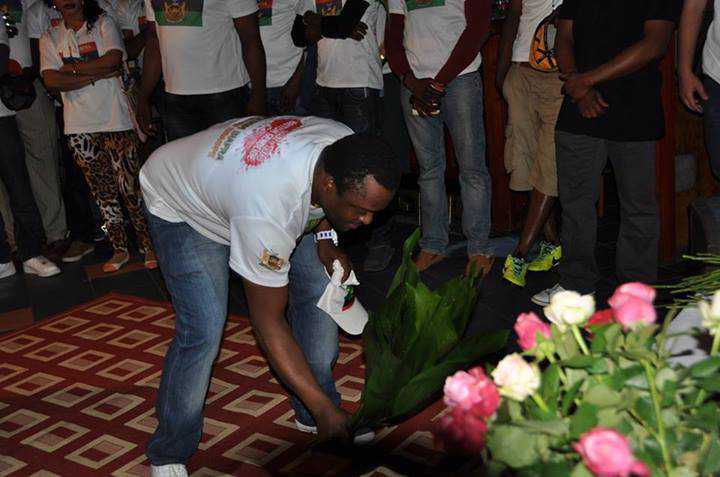 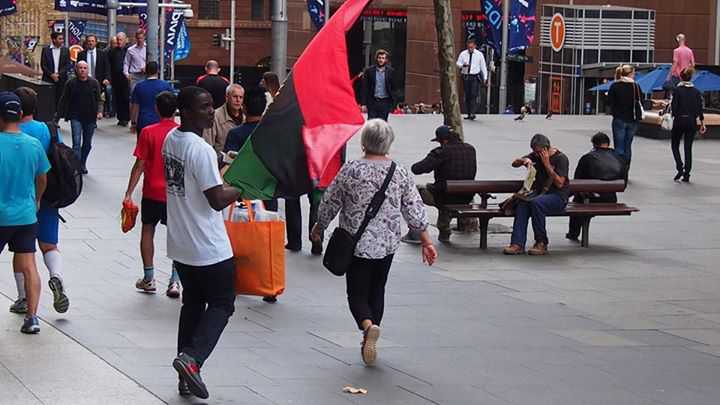 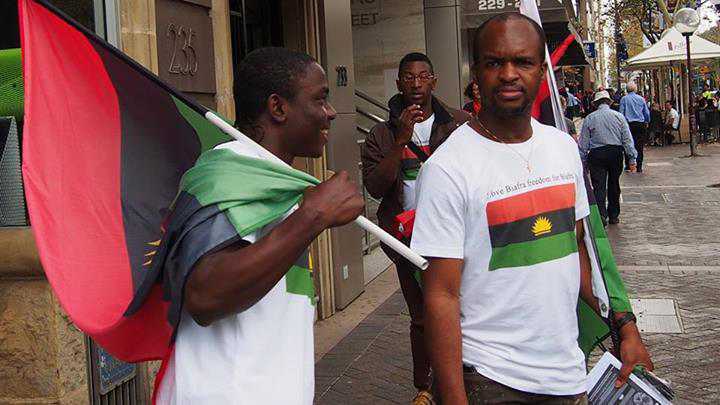 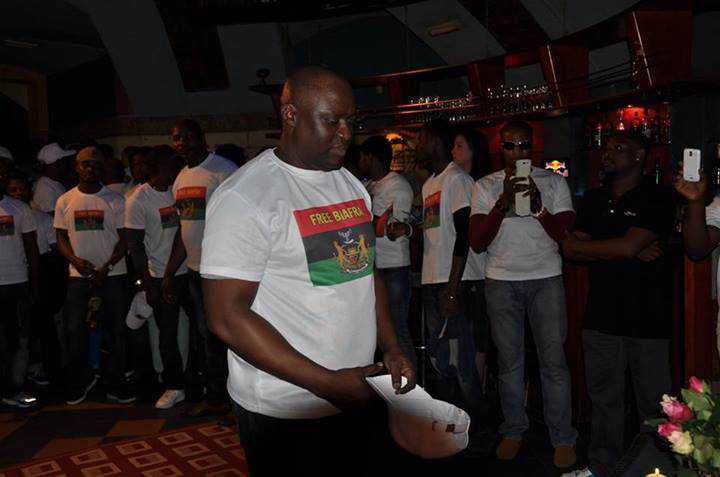 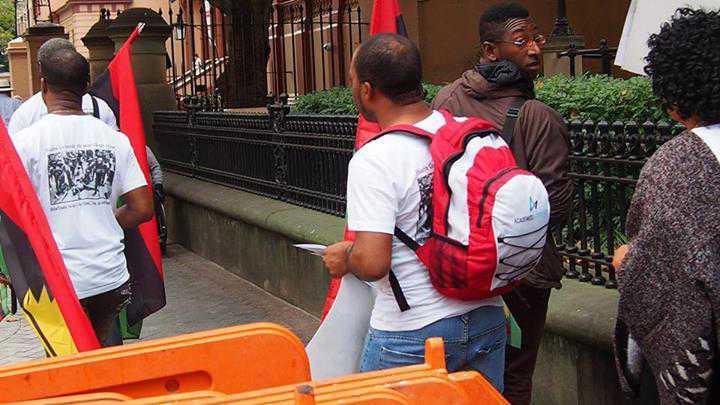 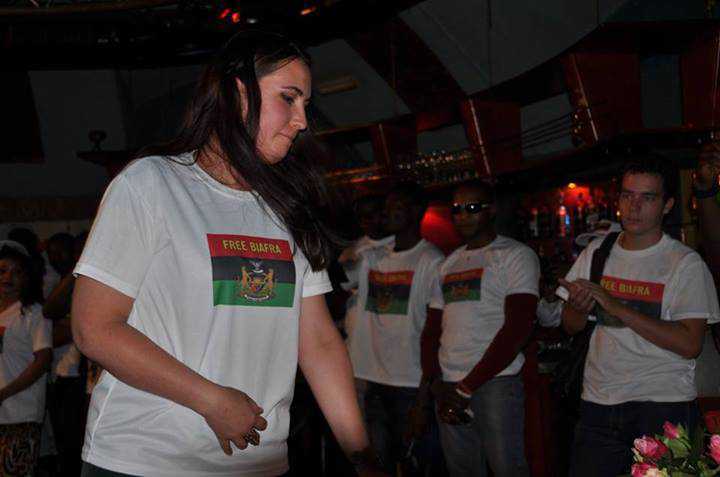 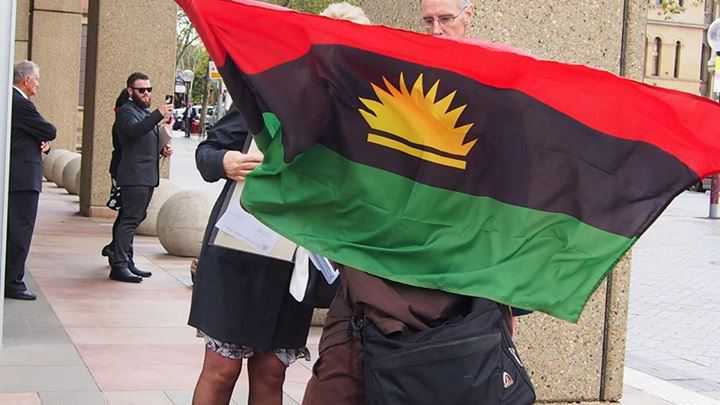 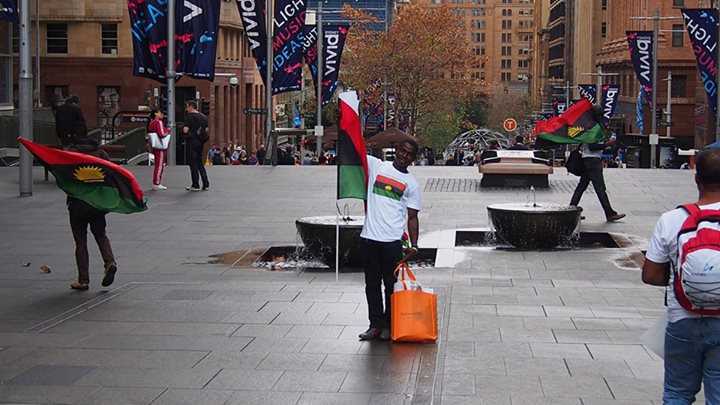 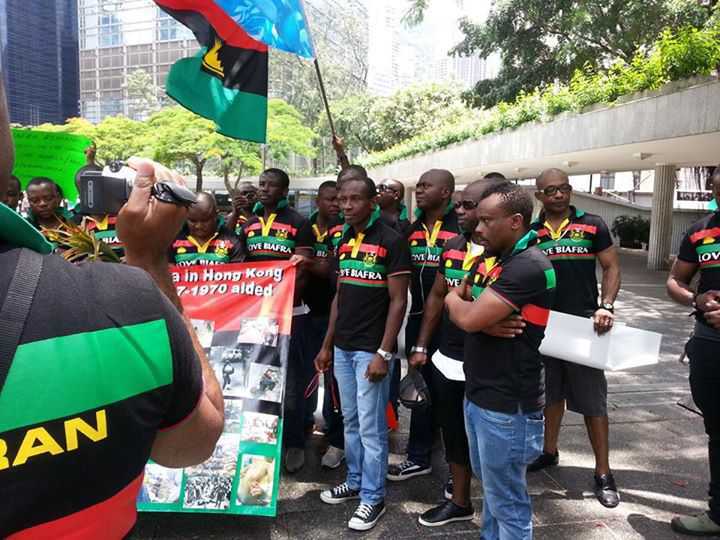 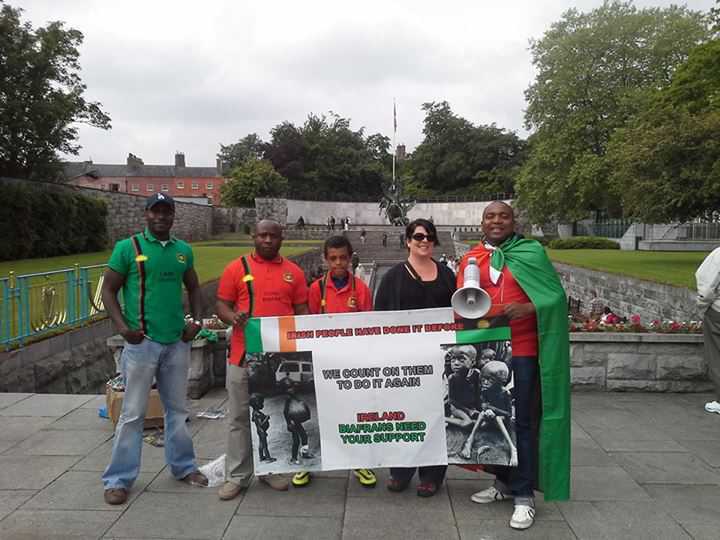 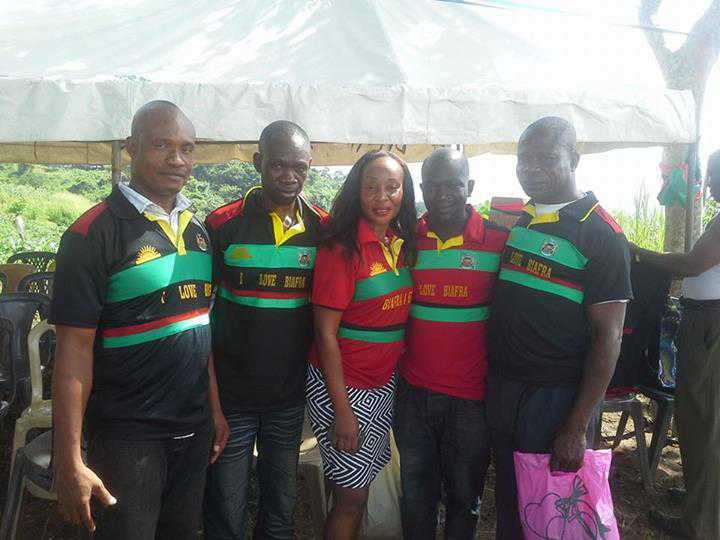 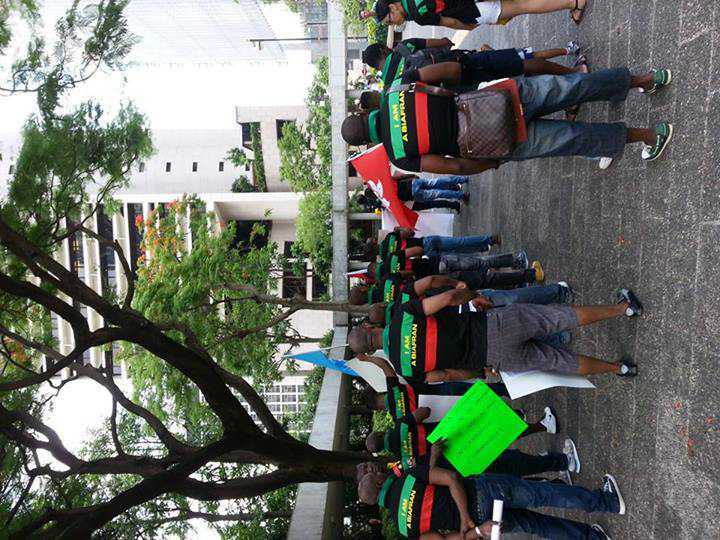 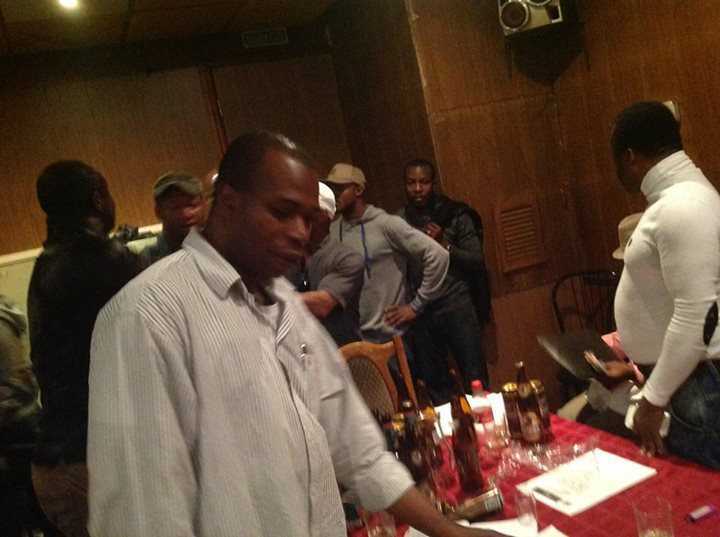 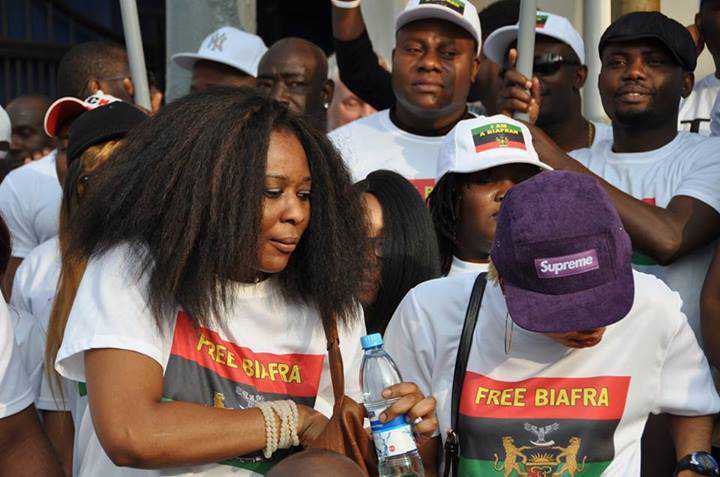 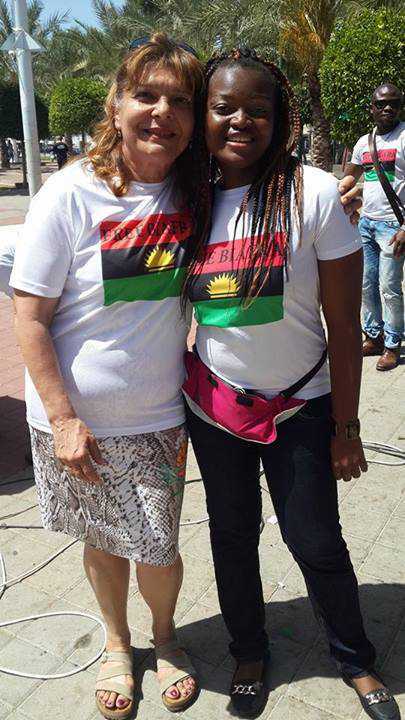 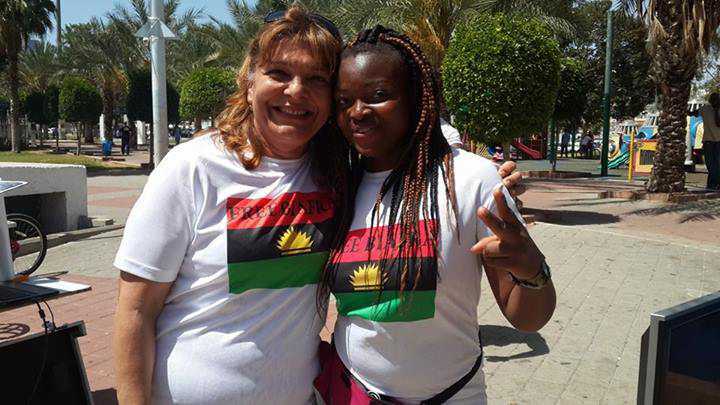 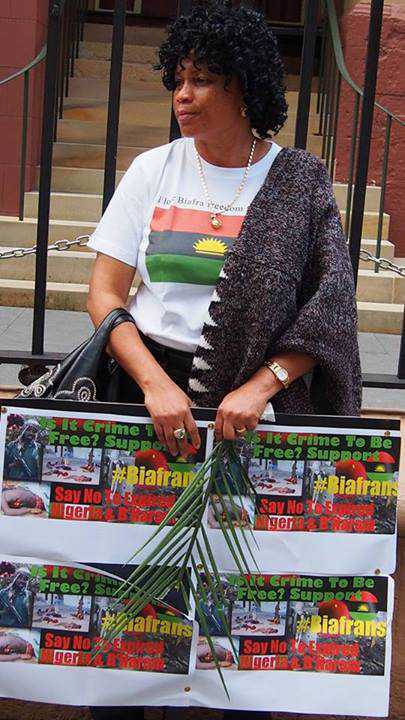 All hail Biafran Heroes and Heroines!